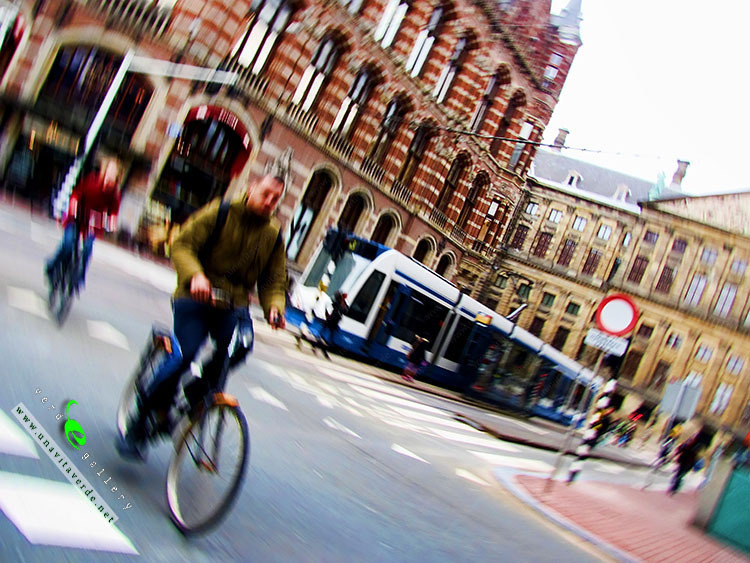 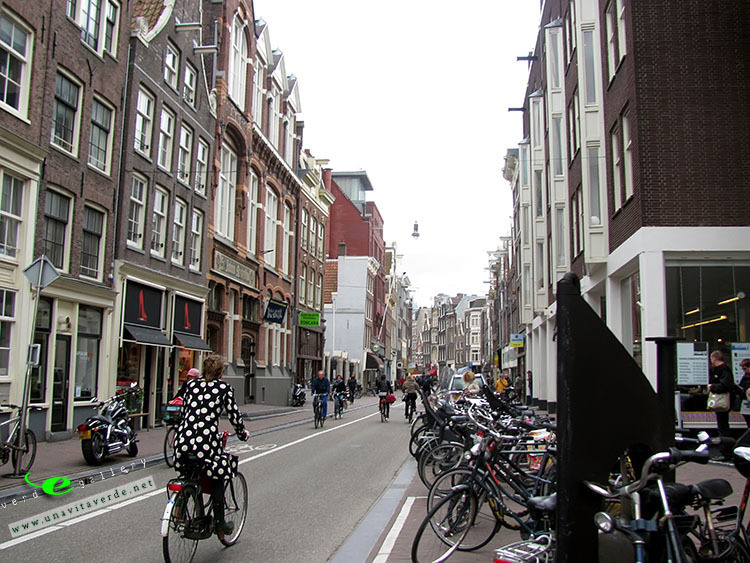 Amsterdam is bike city. 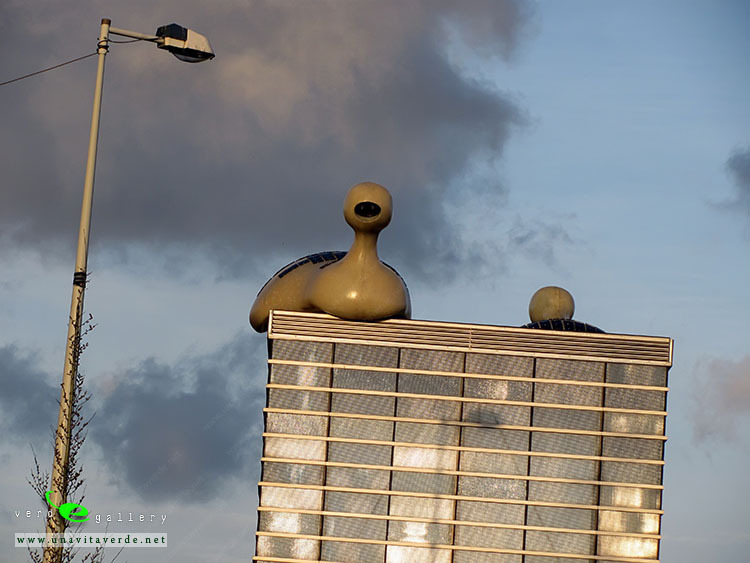 Architecture. 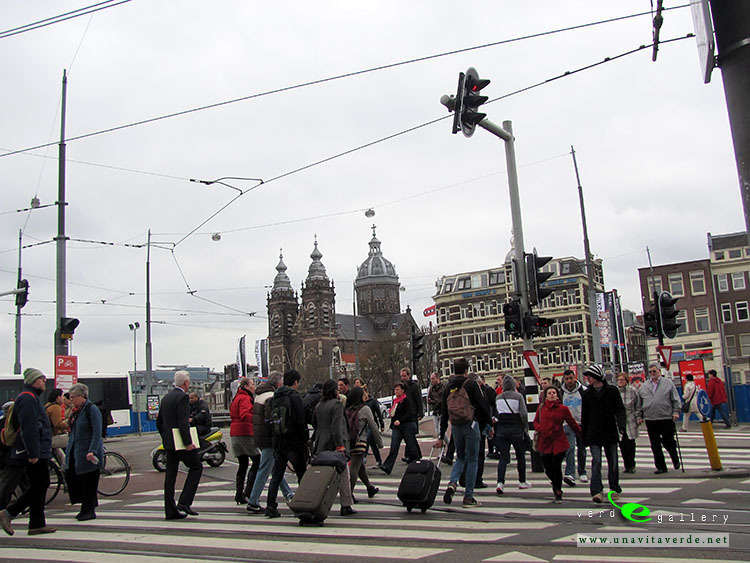 Amsterdam fans out south from the Amsterdam Centraal railway station. 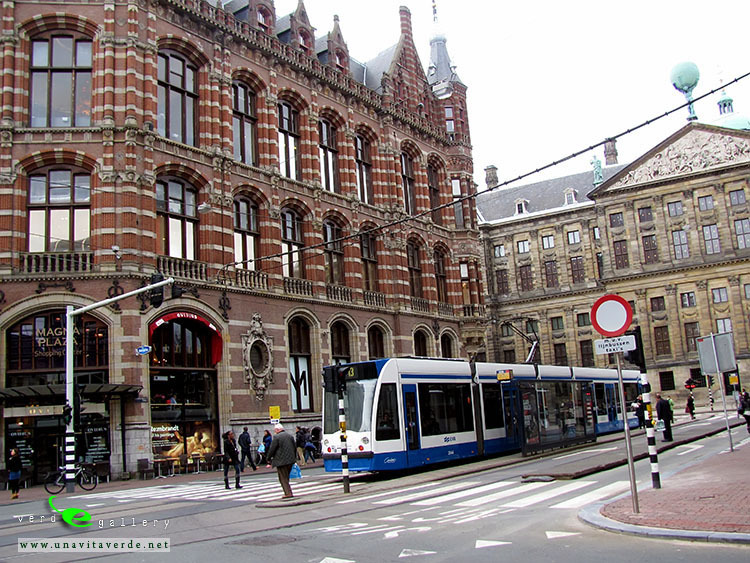 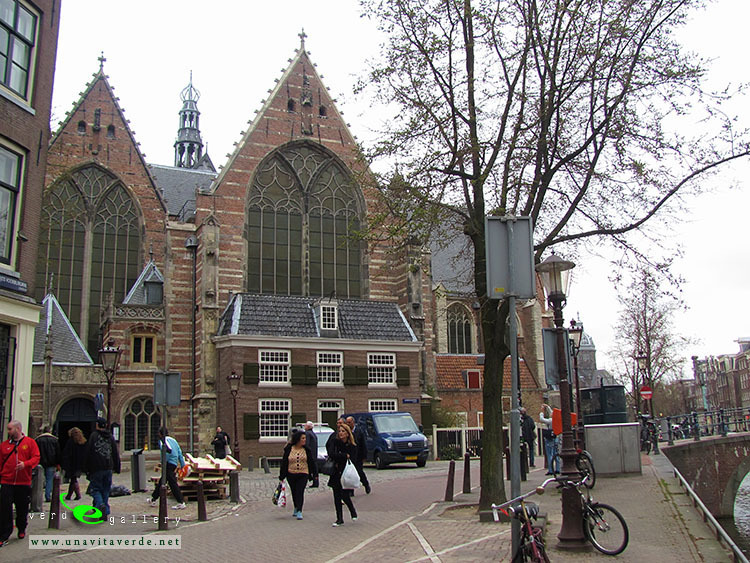 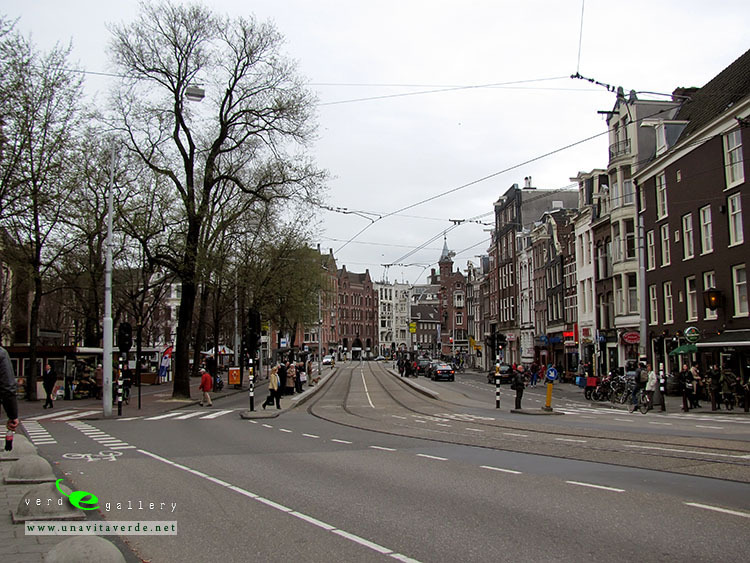 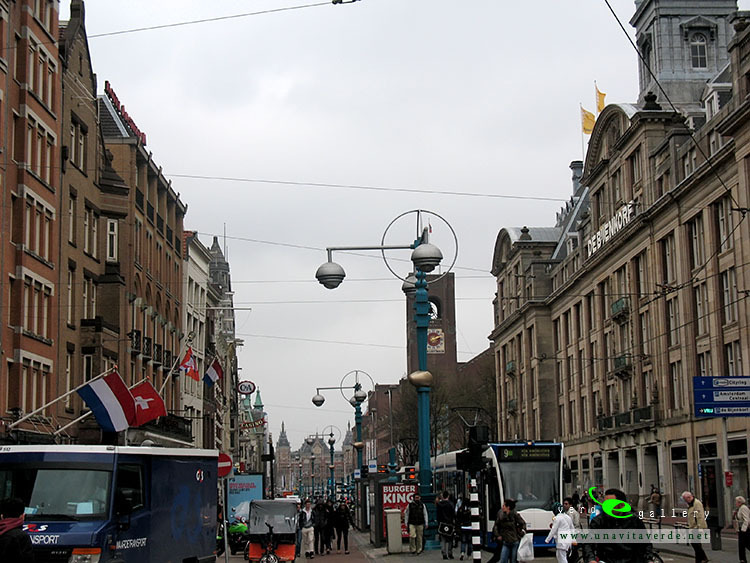 The Damrak is the main street and leads into the street Rokin. 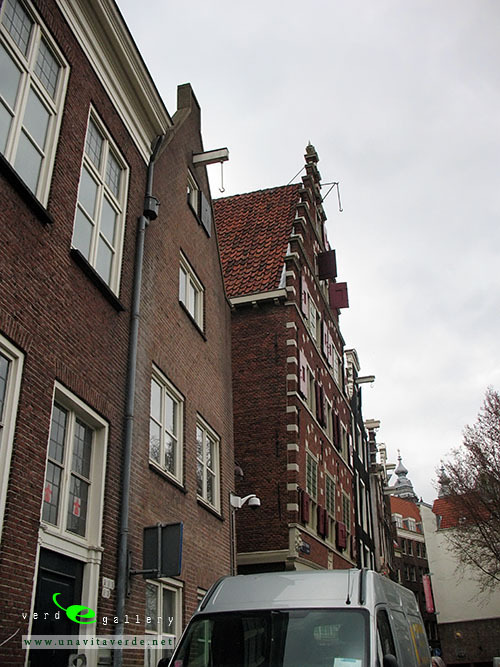 The oldest area of the town is known as de Wallen (the quays). 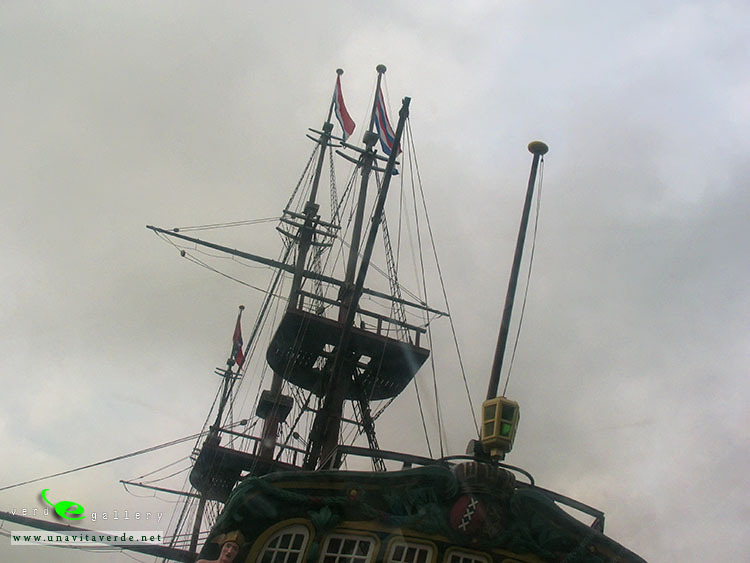 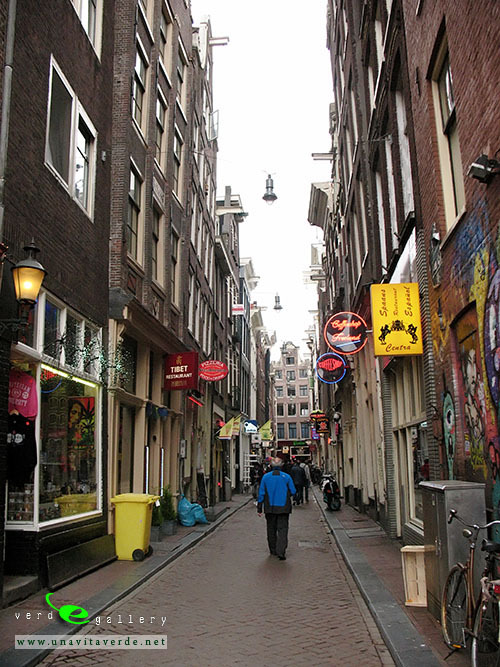 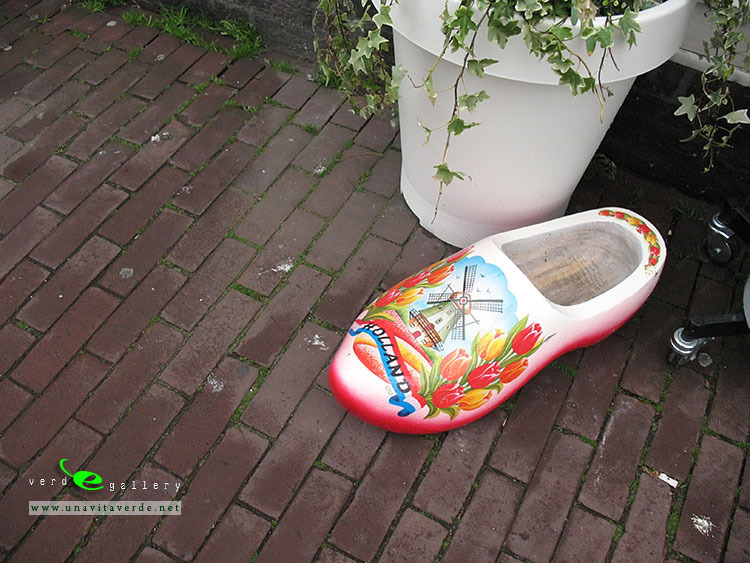 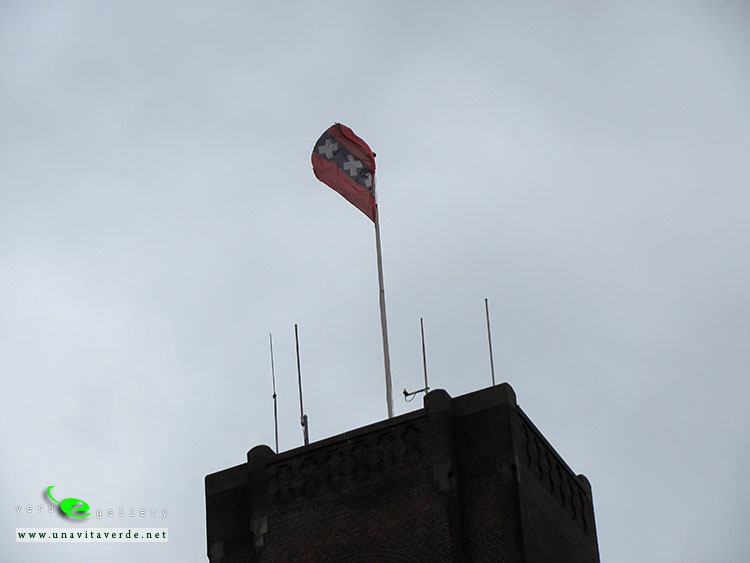 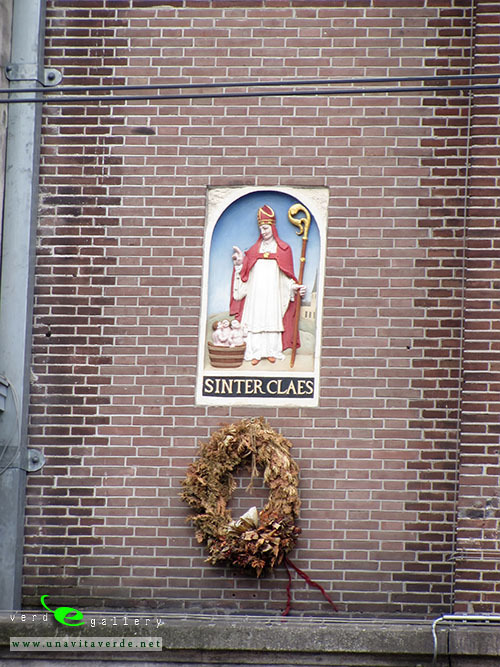 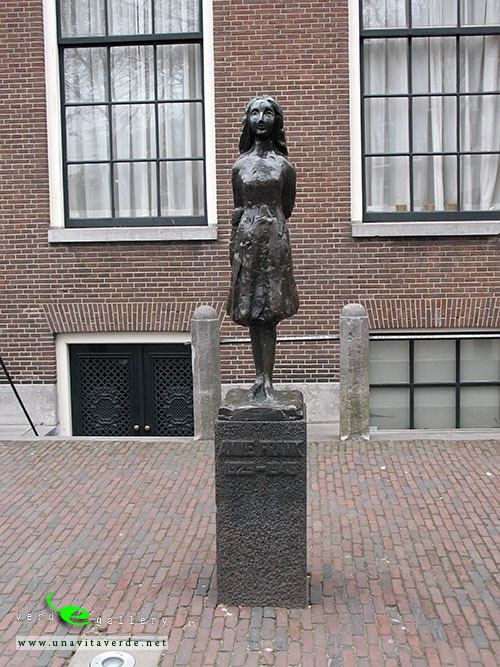 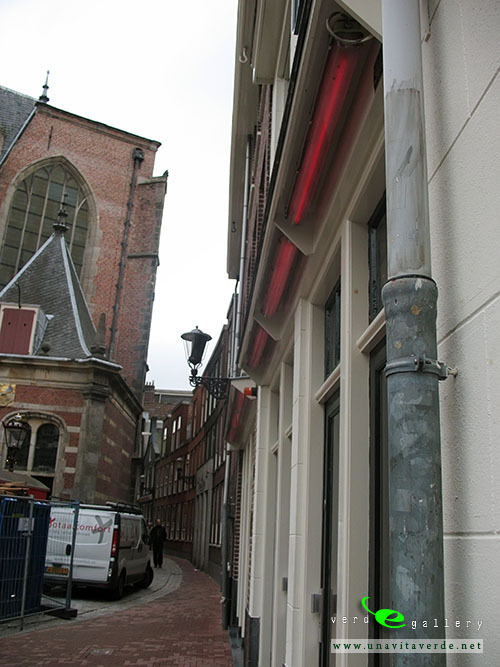 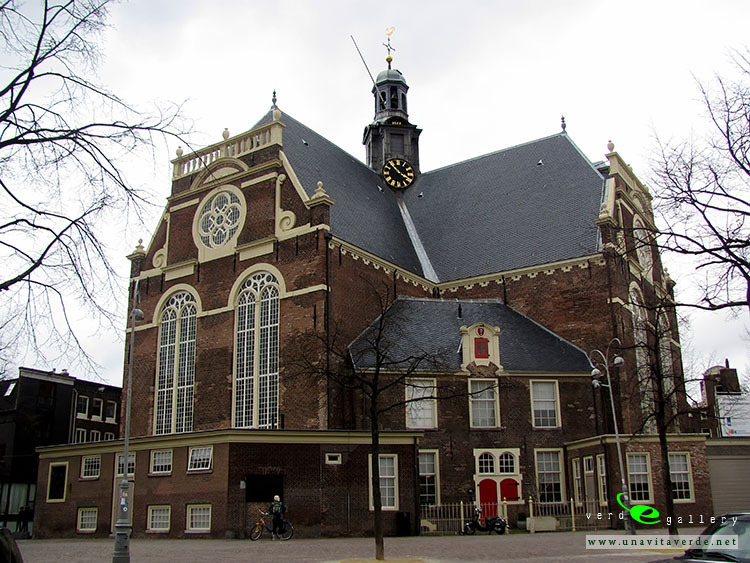 It lies to the east of Damrak and contains the city’s famous red light district. 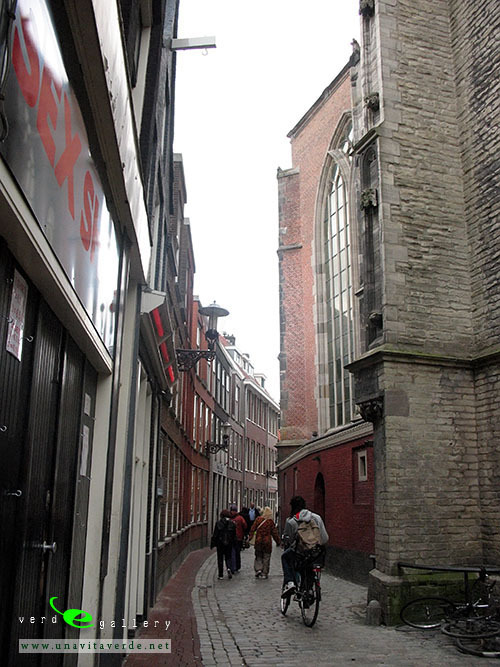 To the south of de Wallen is the old Jewish quarter of Waterlooplein. 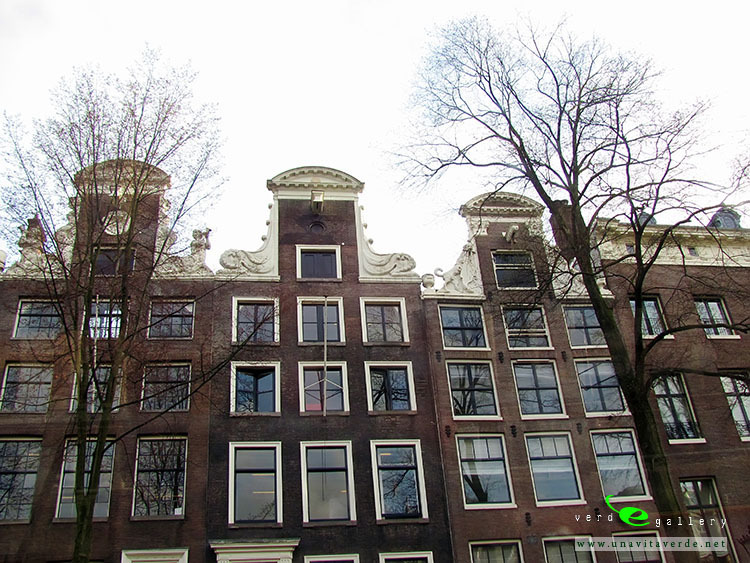 The 17th century canals of Amsterdam, known as the Grachtengordel, embraces the heart of the city where homes have interesting gables. 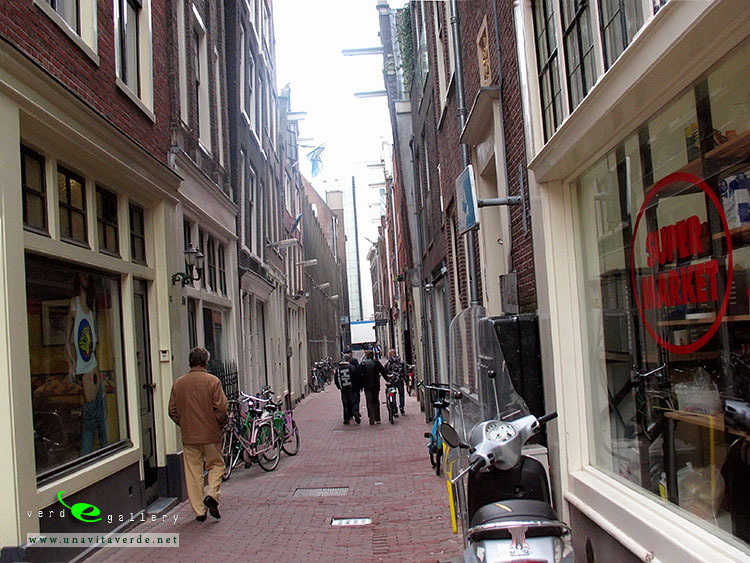 Beyond the Grachtengordel are the former working class areas of Jordaan and de Pijp. 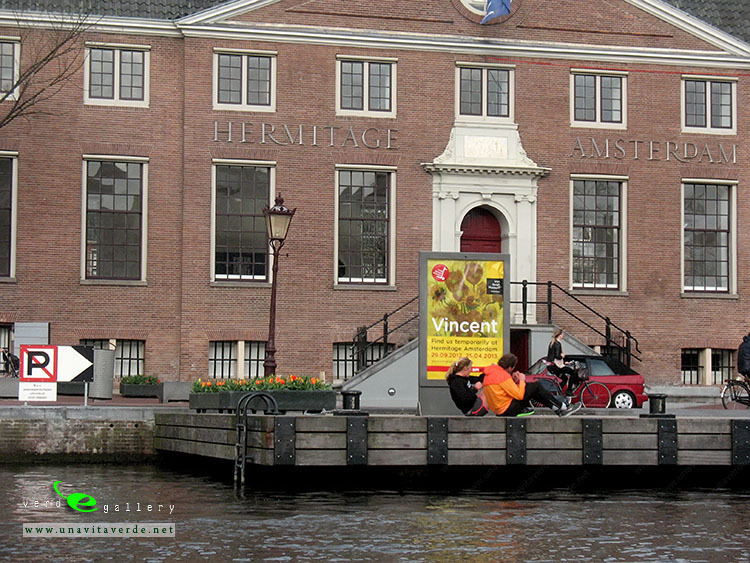 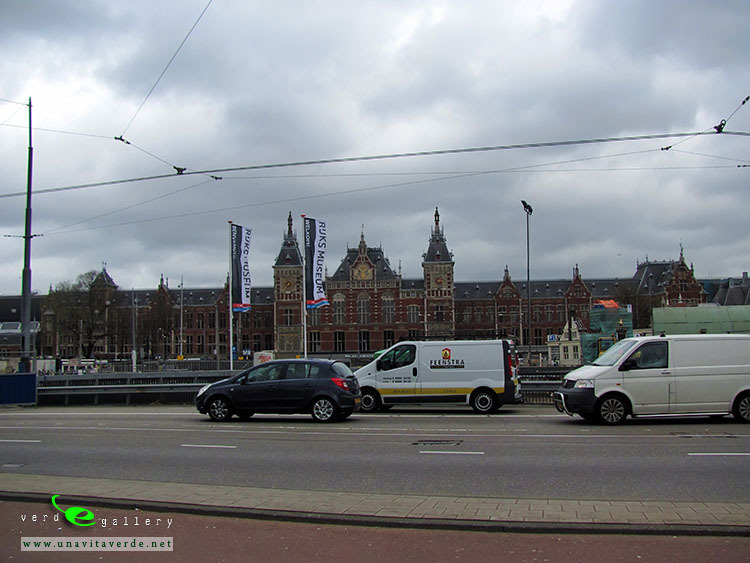 The Museumplein with the city’s major museums, the Vondelpark, a 19th-century park named after the Dutch writer Joost van den Vondel, and the Plantage neighbourhood, with the zoo, are also located outside the Grachtengordel. 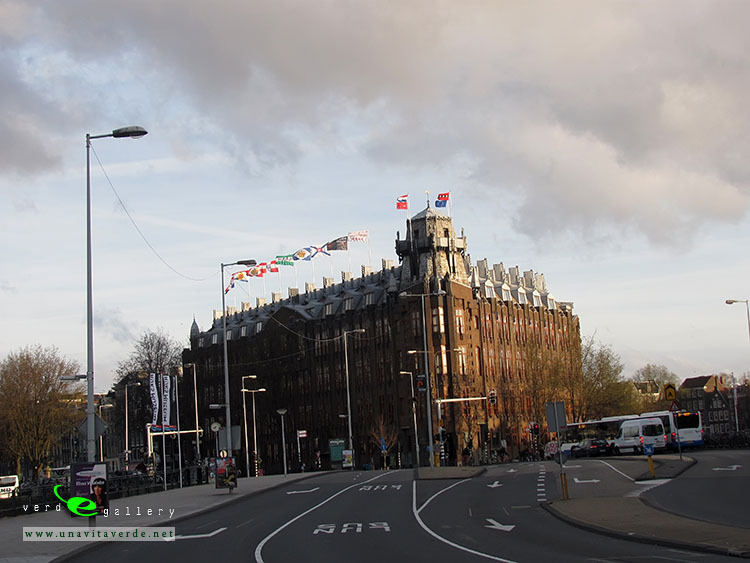 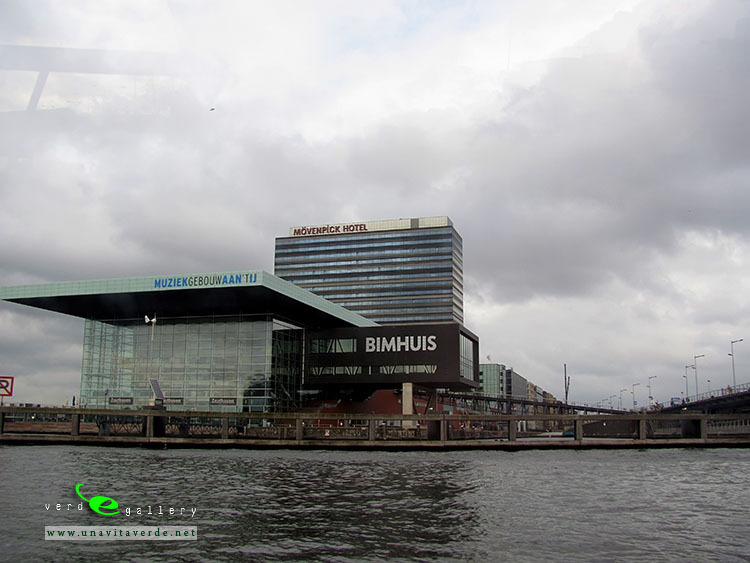 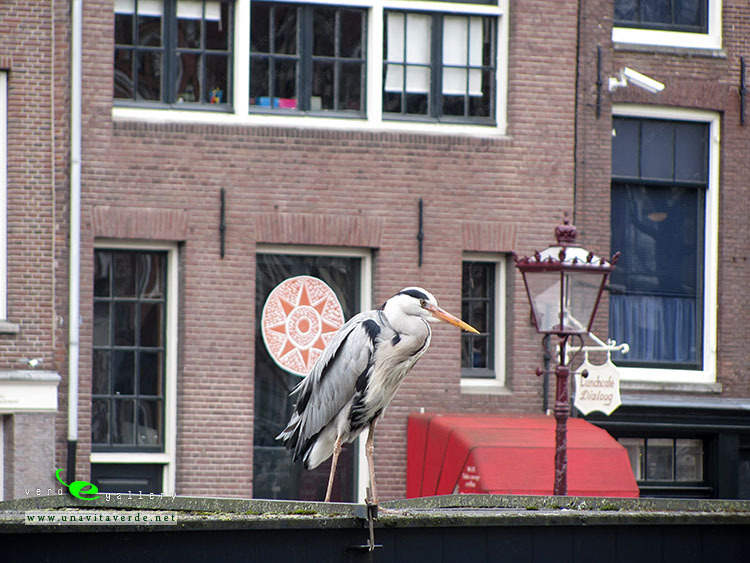 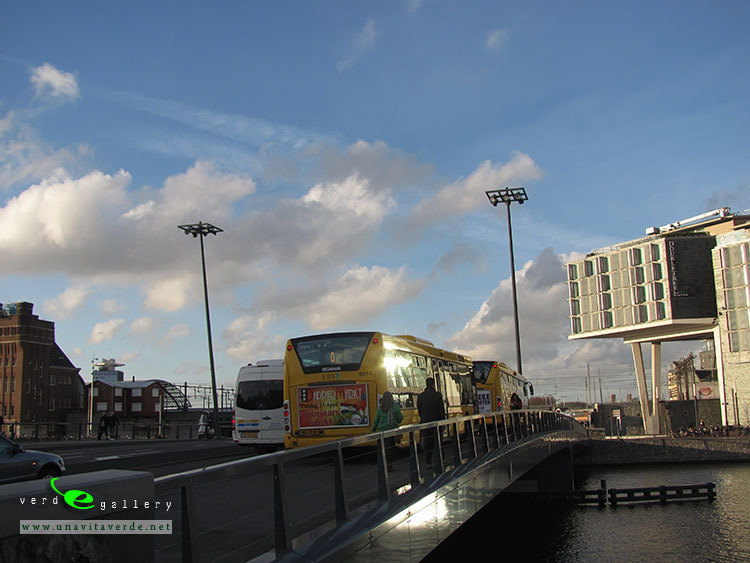 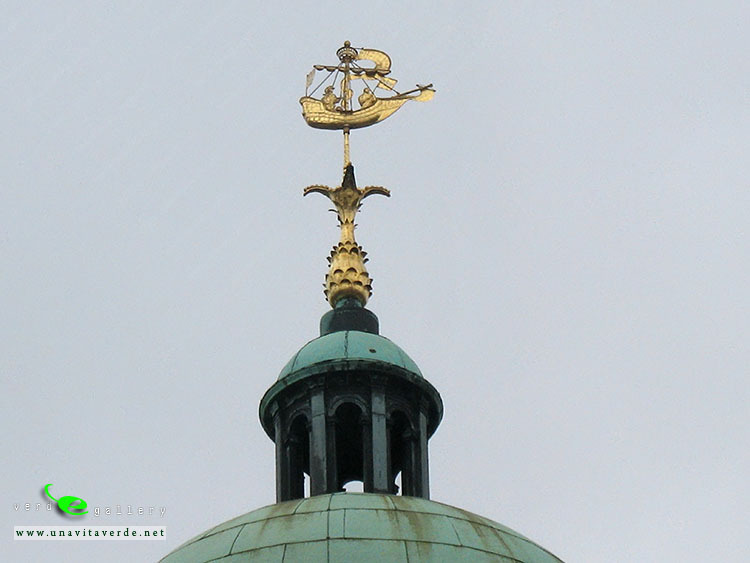 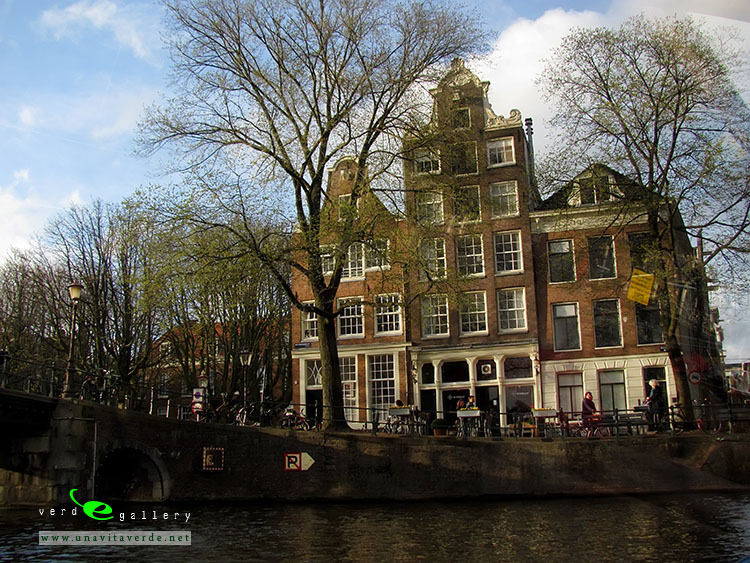 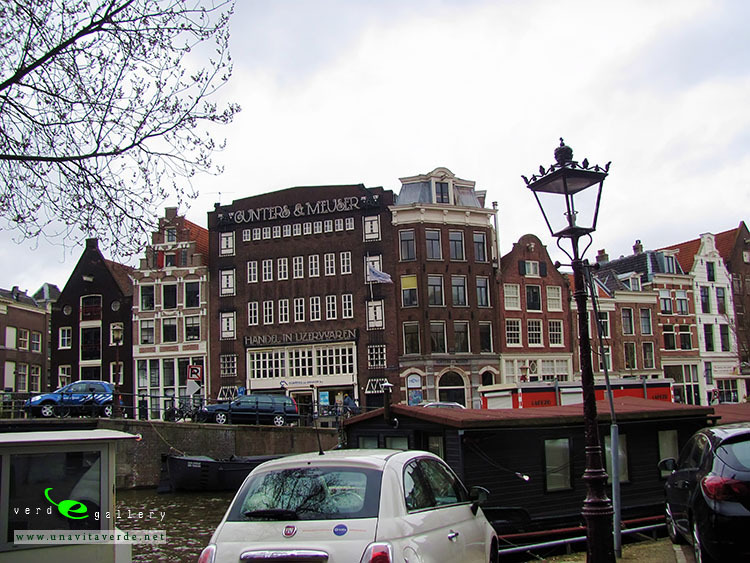 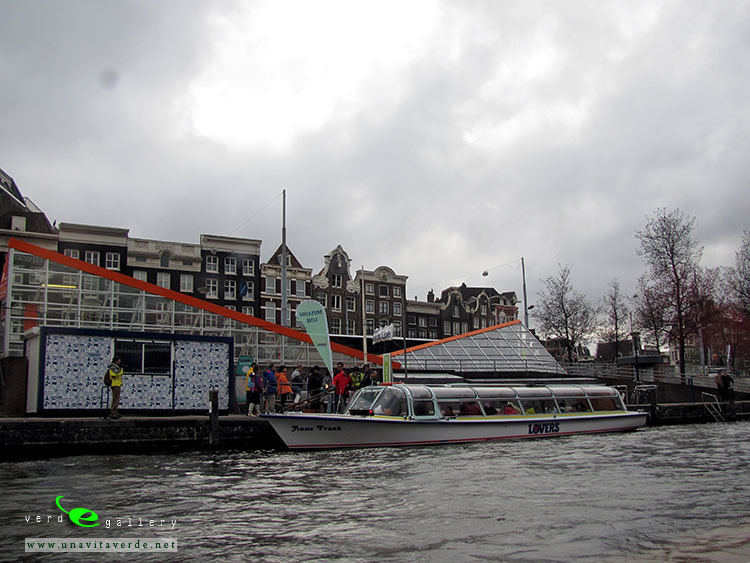 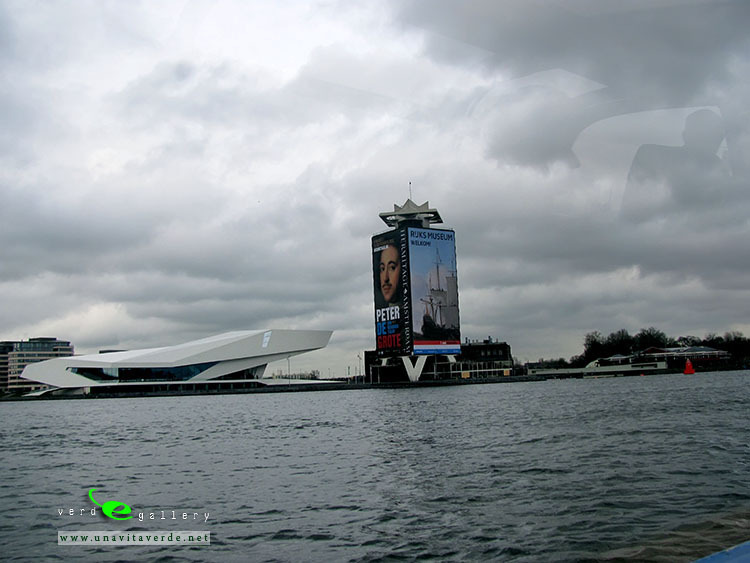 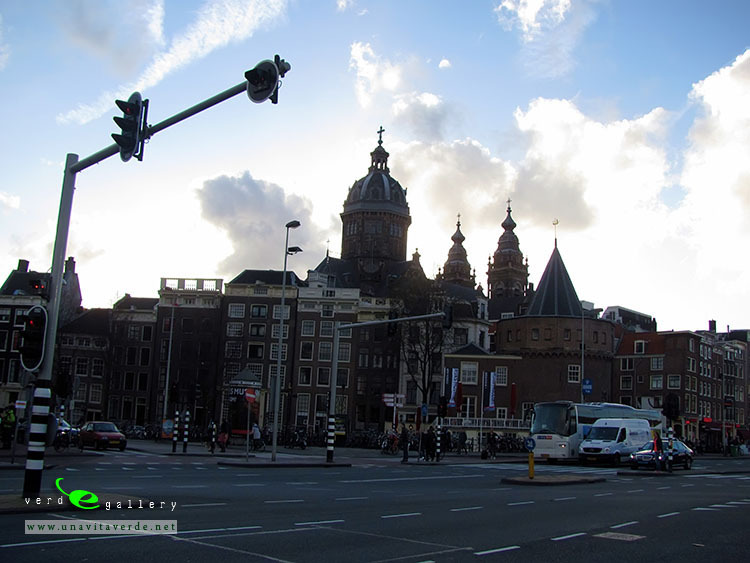 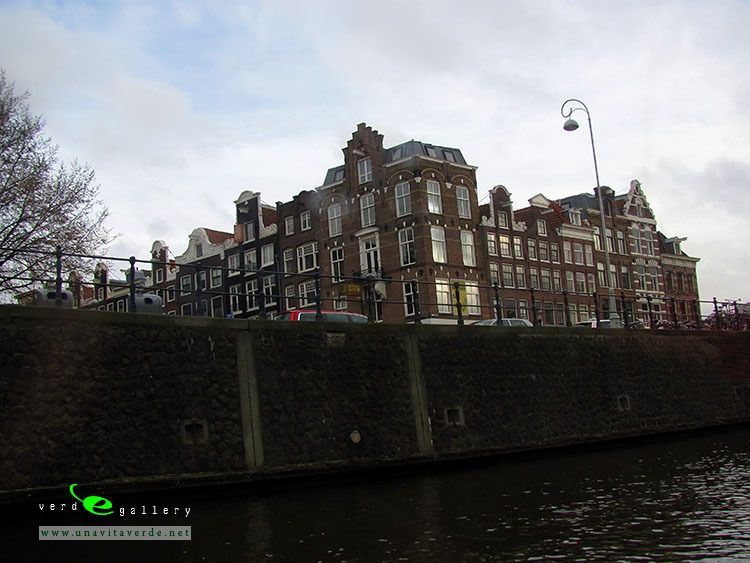 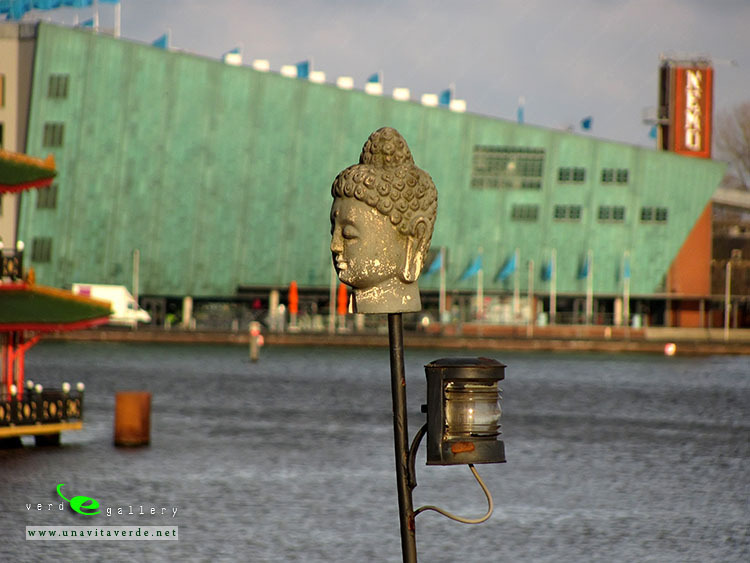 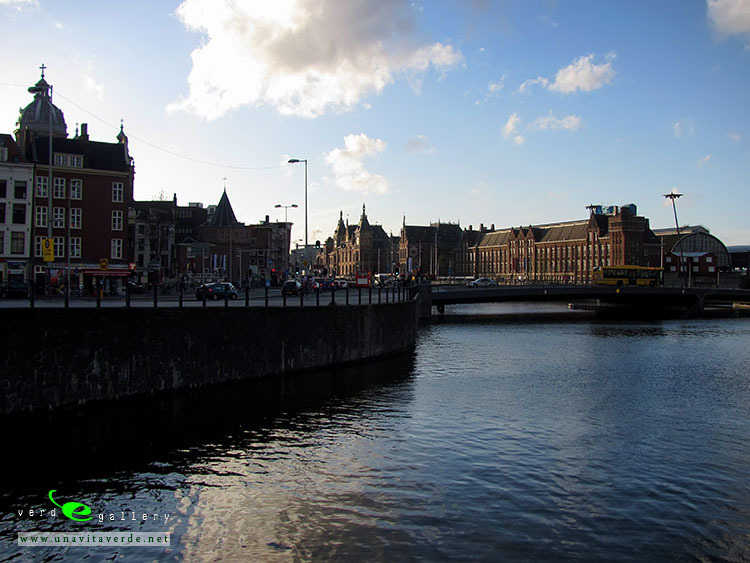 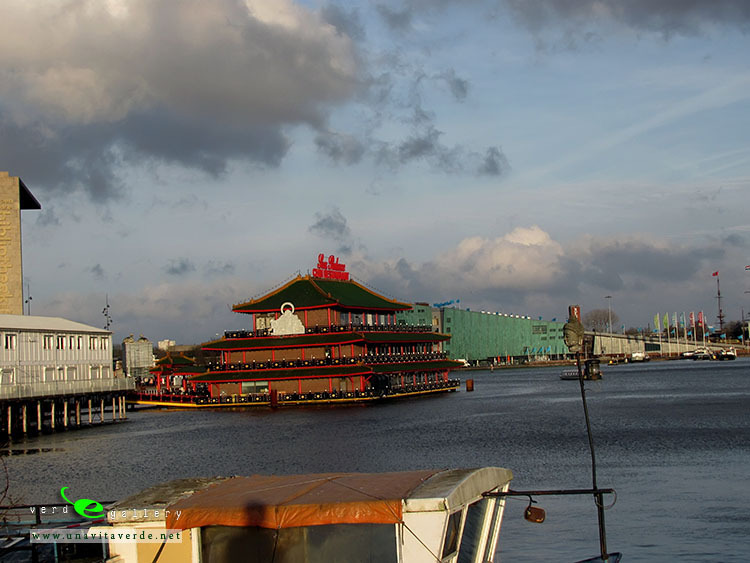 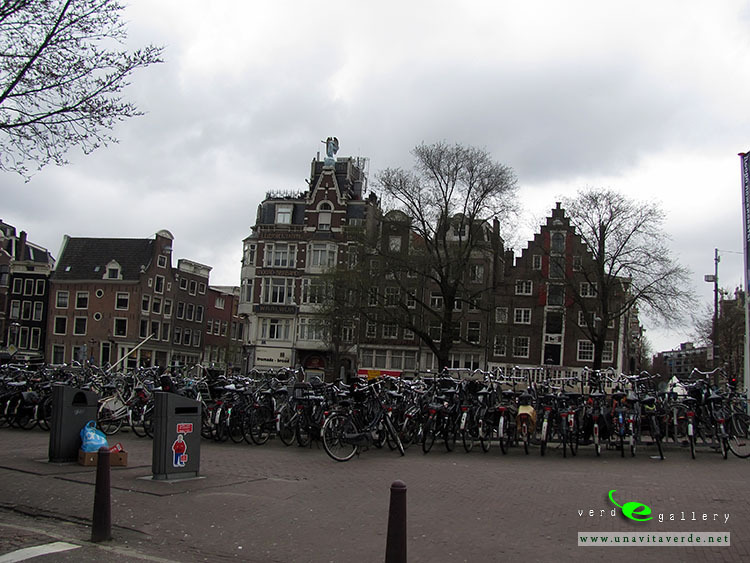 See photos of Amsterdam (including canals, The Scheepvaarthuis, The Church of St Nicholas, Dam Square and more) in this travel photo gallery from Verde Wanderer. 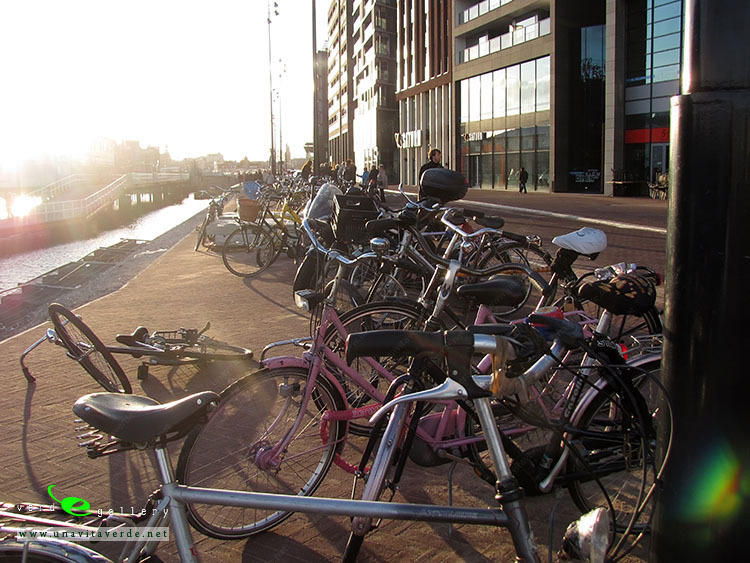 Pictures taken in 16 of April, 2013. 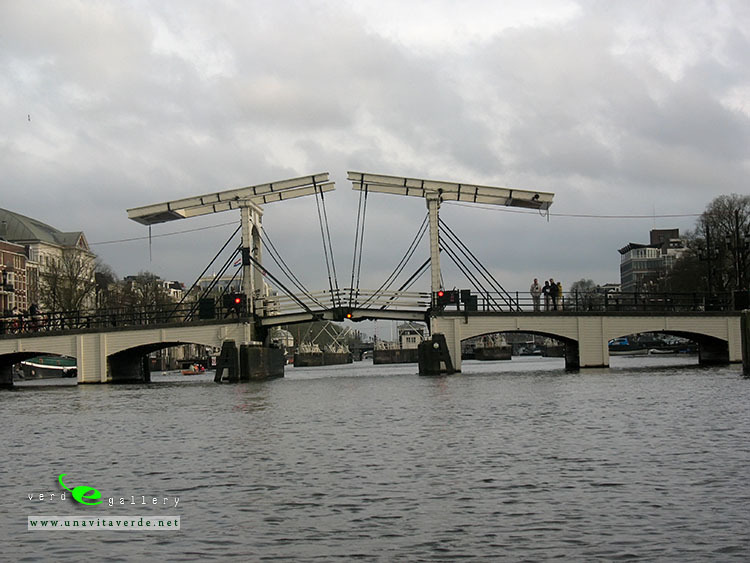 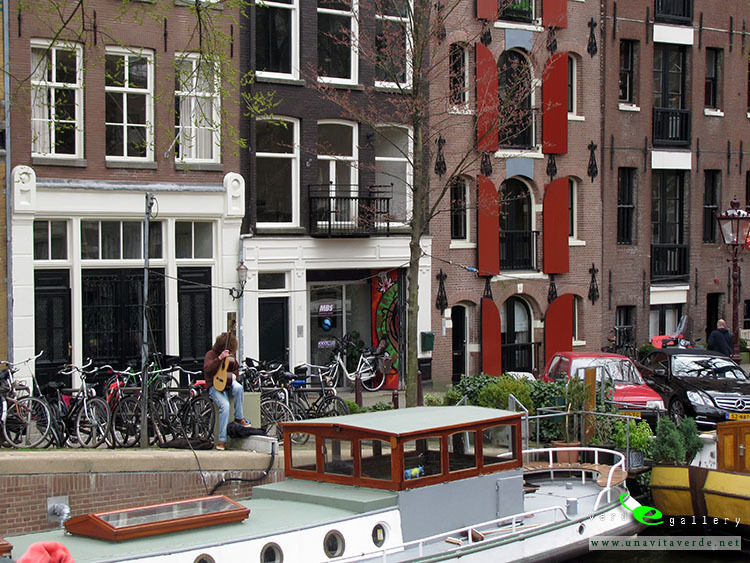 The Amsterdam canal system is the result of conscious city planning. 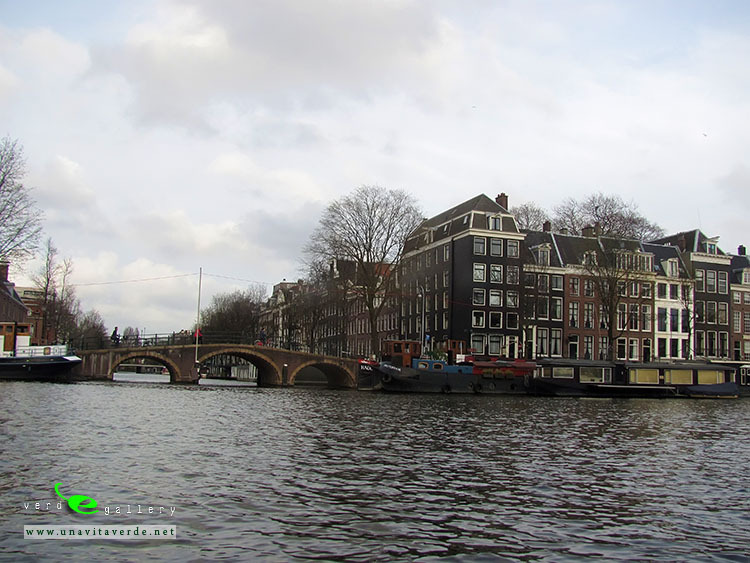 In the early 17th century, when immigration was at a peak, a comprehensive plan was developed that was based on four concentric half-circles of canals with their ends emerging at the IJ bay. 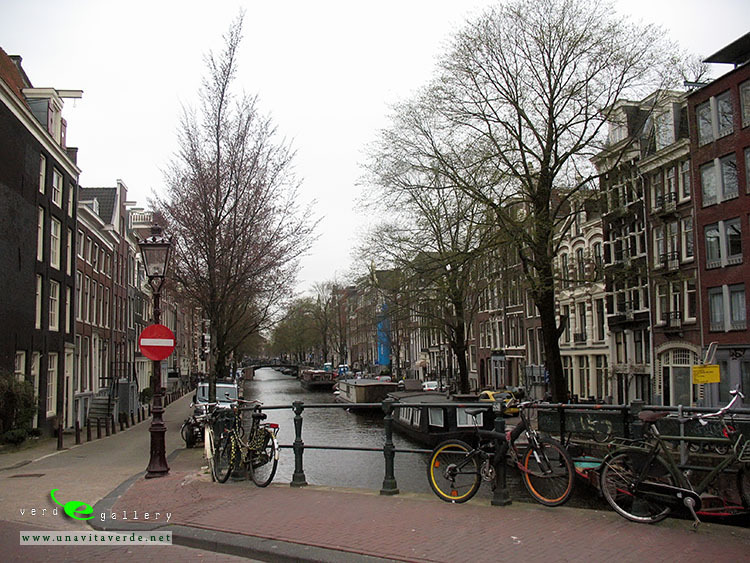 Known as the Grachtengordel, three of the canals were mostly for residential development: the Herengracht (where “Heren” refers to Heren Regeerders van de stad Amsterdam (ruling lords of Amsterdam), and gracht means canal, so the name can be roughly translated as “Canal of the lords”), Keizersgracht (Emperor’s Canal), and Prinsengracht (Prince’s Canal). 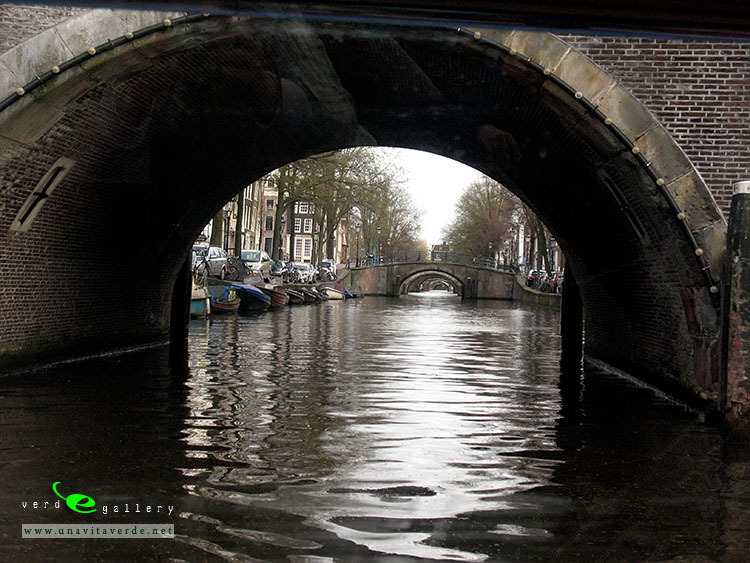 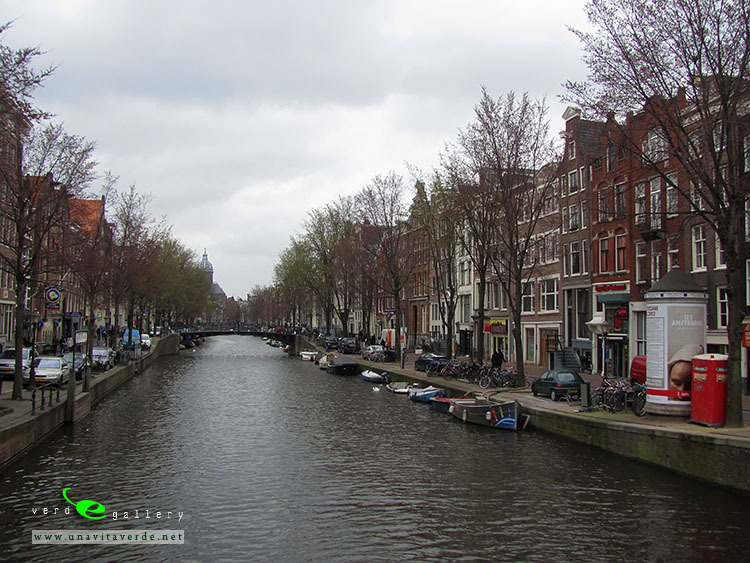 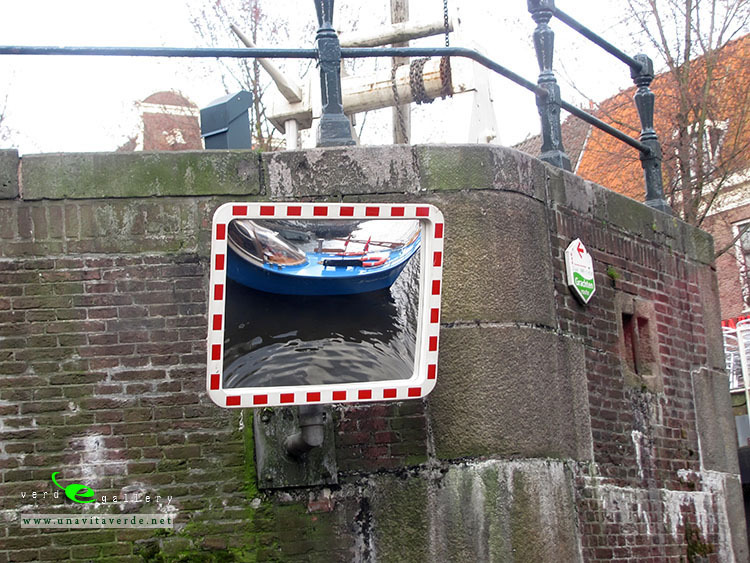 The fourth and outermost canal is the Singelgracht, which is often not mentioned on maps, because it is a collective name for all canals in the outer ring. 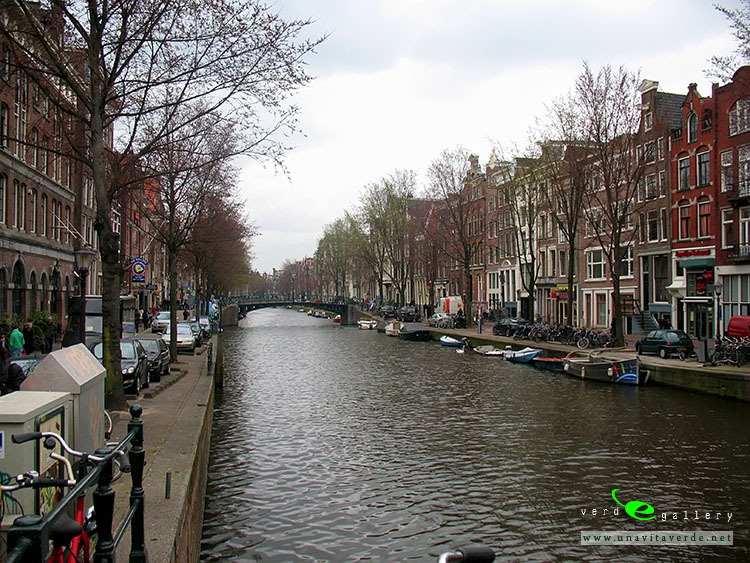 The Singelgracht should not be confused with the oldest and most inner canal Singel. 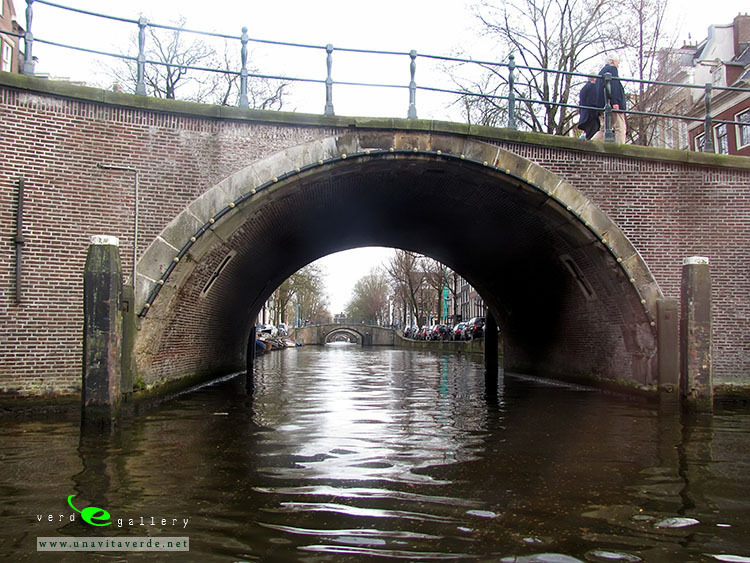 The canals served for defence, water management and transport. 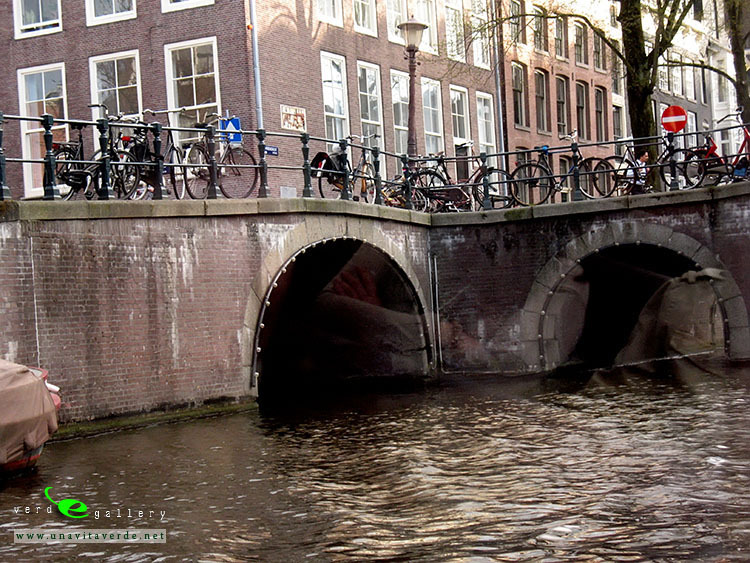 The defences took the form of a moat and earthen dikes, with gates at transit points, but otherwise no masonry superstructures. 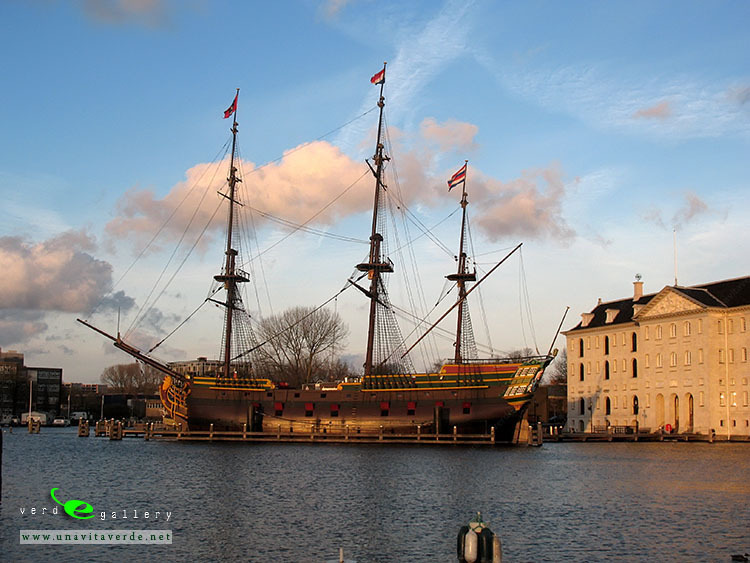 The original plans have been lost, so historians, such as Ed Taverne, need to speculate on the original intentions: it is thought that the considerations of the layout were purely practical and defensive rather than ornamental. 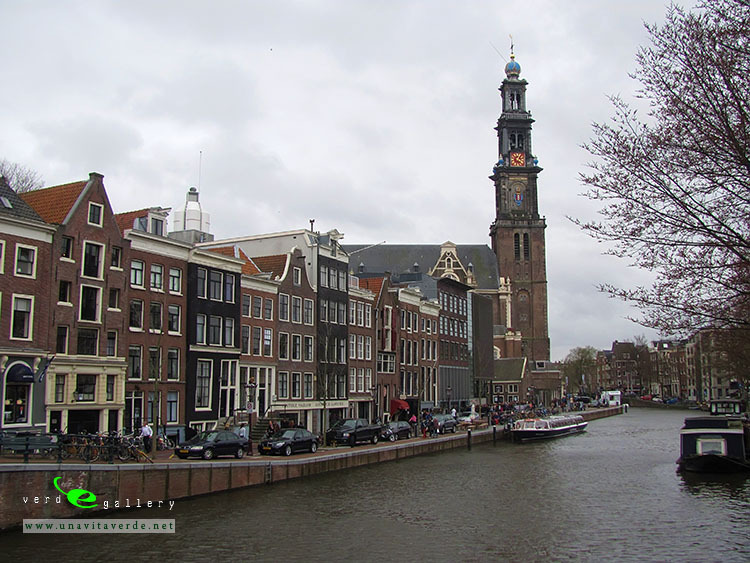 Construction started in 1613 and proceeded from west to east, across the breadth of the layout, like a gigantic windshield wiper as the historian Geert Mak calls it – and not from the centre outwards, as a popular myth has it. 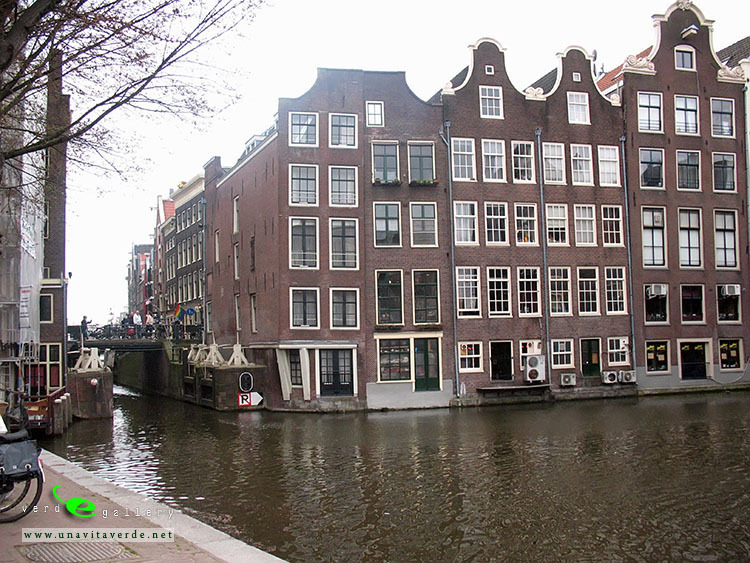 The canal construction in the southern sector was completed by 1656. 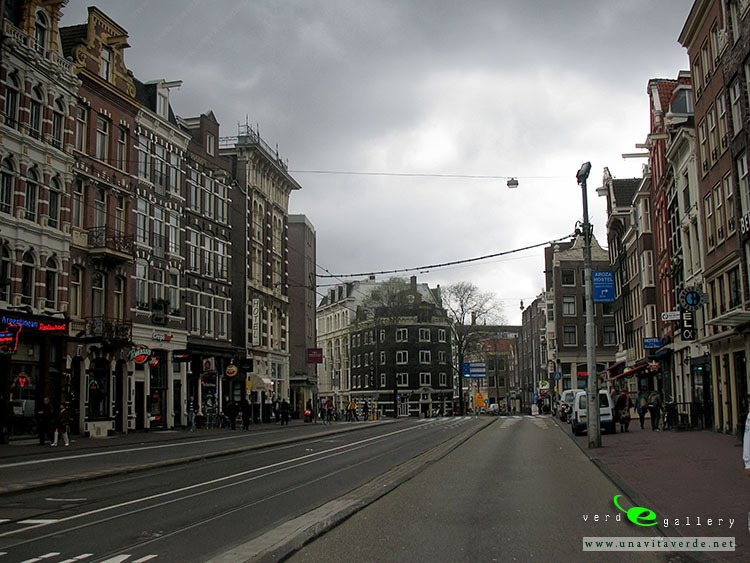 Subsequently, the construction of residential buildings proceeded slowly. 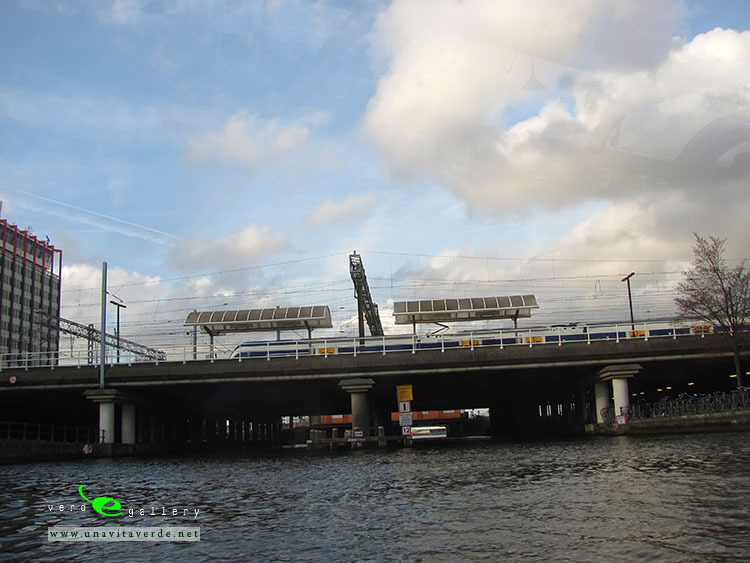 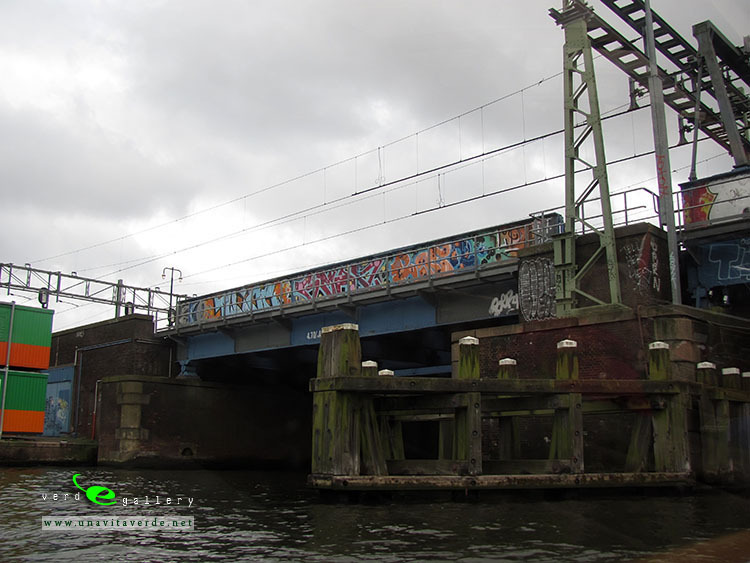 The eastern part of the concentric canal plan, covering the area between the Amstel river and the IJ bay, has never been implemented. 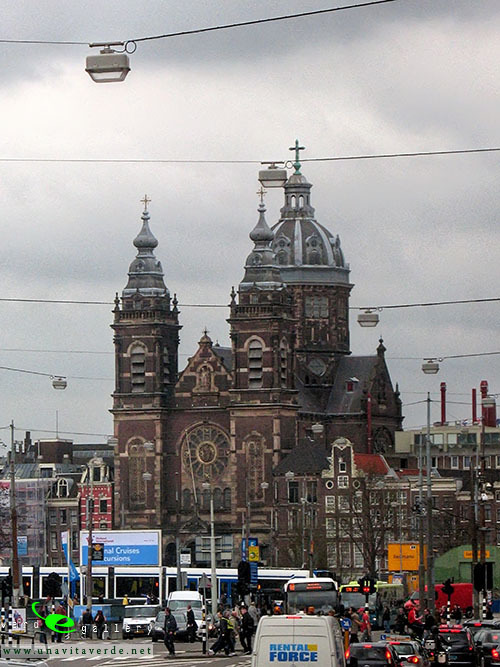 In the following centuries, the land was used for parks, senior citizens’ homes, theatres, other public facilities, and waterways without much planning. 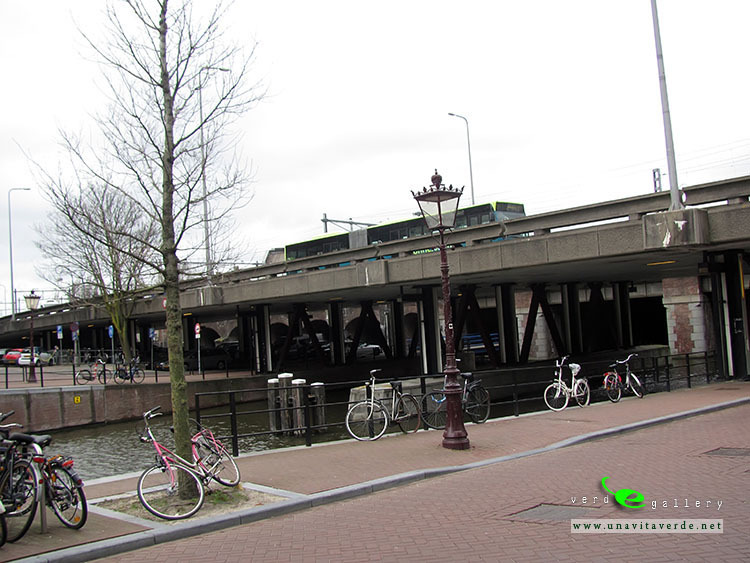 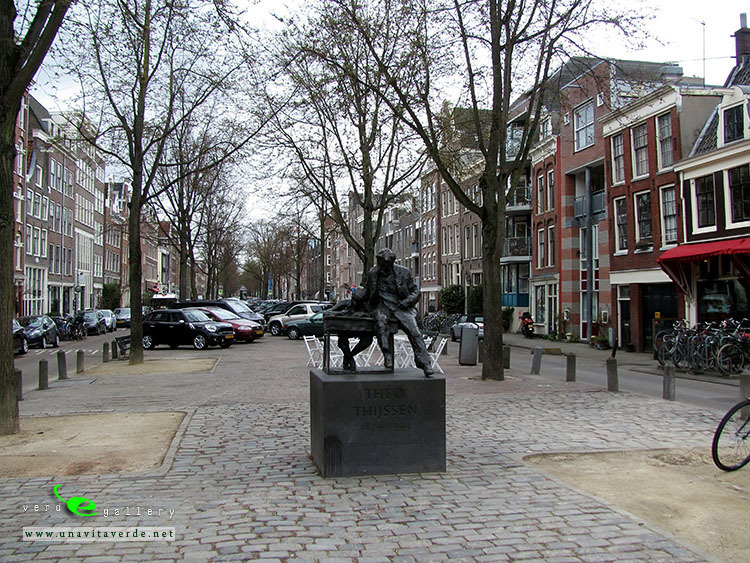 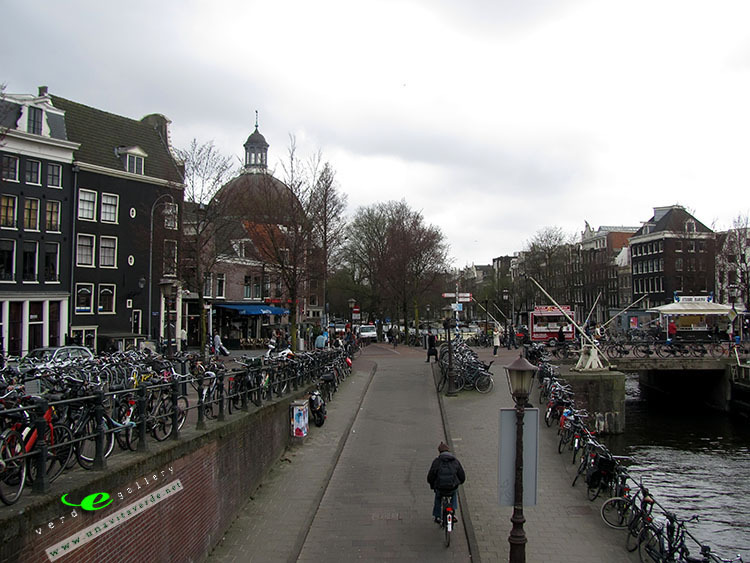 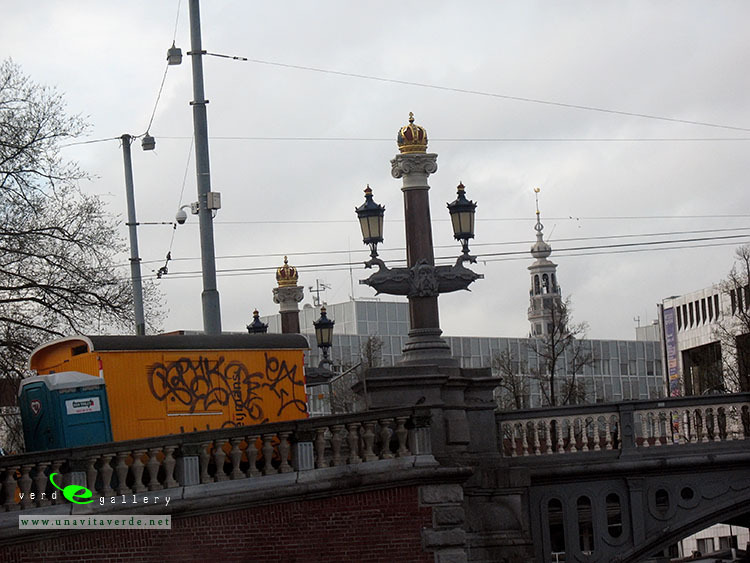 Over the years, several canals have been filled in, becoming streets or squares, such as the Nieuwezijds Voorburgwal and the Spui. 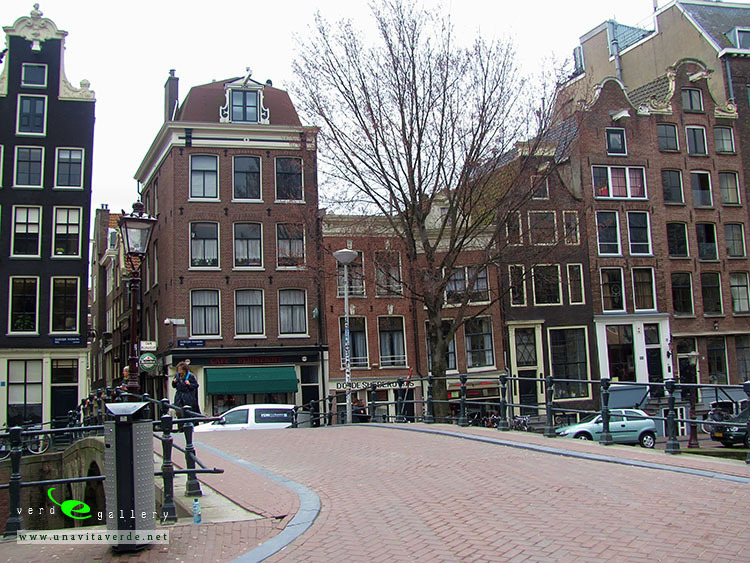 Expansion Main article: Expansion of Amsterdam since the 19th century. 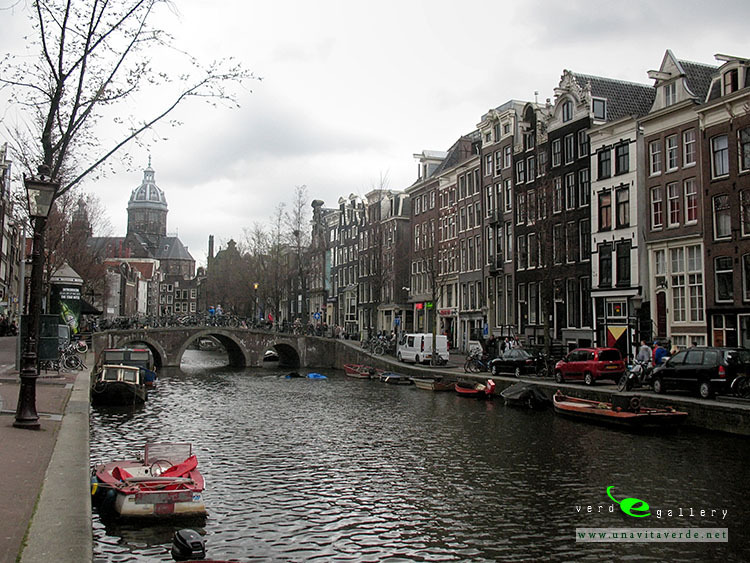 After the development of Amsterdam’s canals in the 17th century, the city did not grow beyond its borders for two centuries. 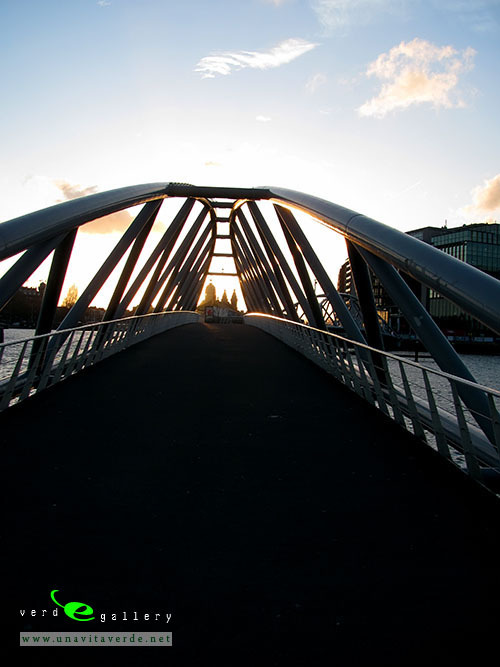 During the 19th century, Samuel Sarphati devised a plan based on the grandeur of Paris and London at that time. 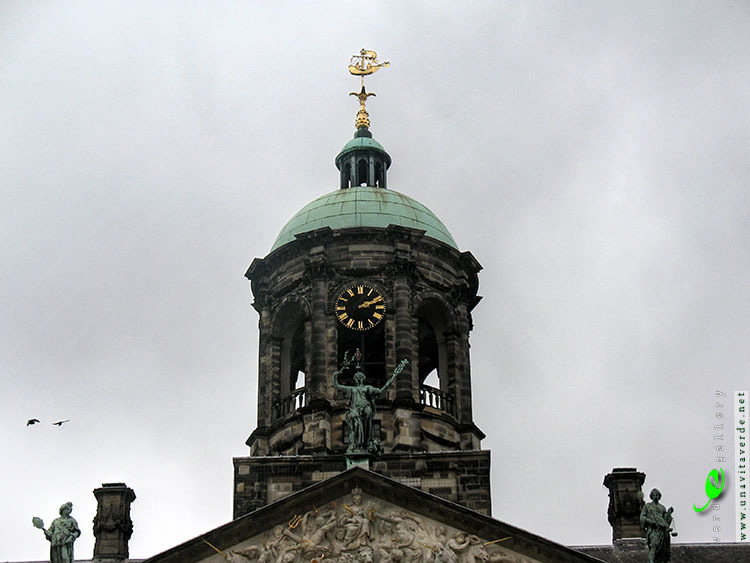 The plan envisaged the construction of new houses, public buildings and streets just outside the grachtengordel. 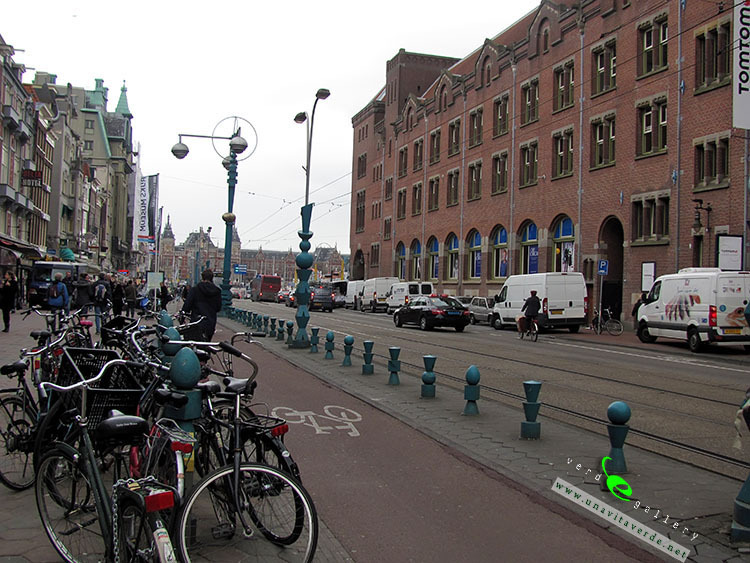 The main aim of the plan, however, was to improve public health. 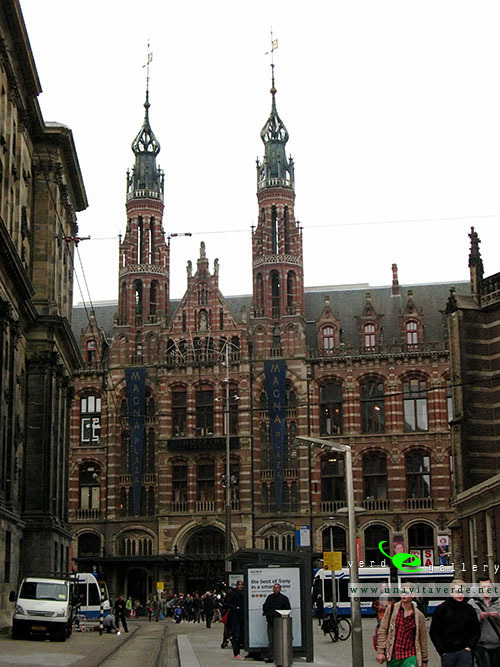 Although the plan did not expand the city, it did produce some of the largest public buildings to date, like the Paleis voor Volksvlijt. 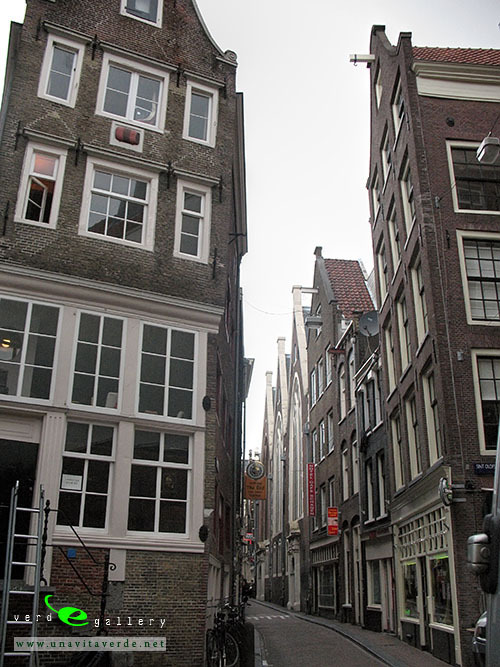 After the Second World War, large new neighbourhoods were built in the western, southeastern, and northern parts of the city. 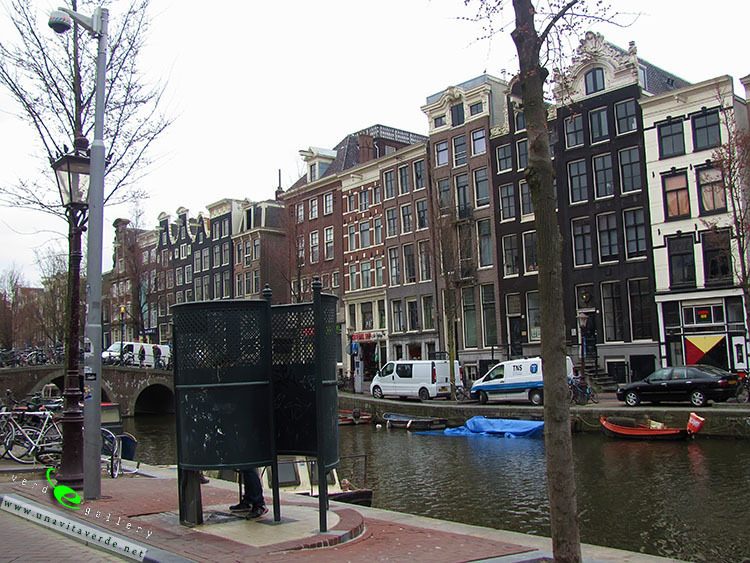 These new neighbourhoods were built to relieve the city’s shortage of living space and give people affordable houses with modern conveniences. 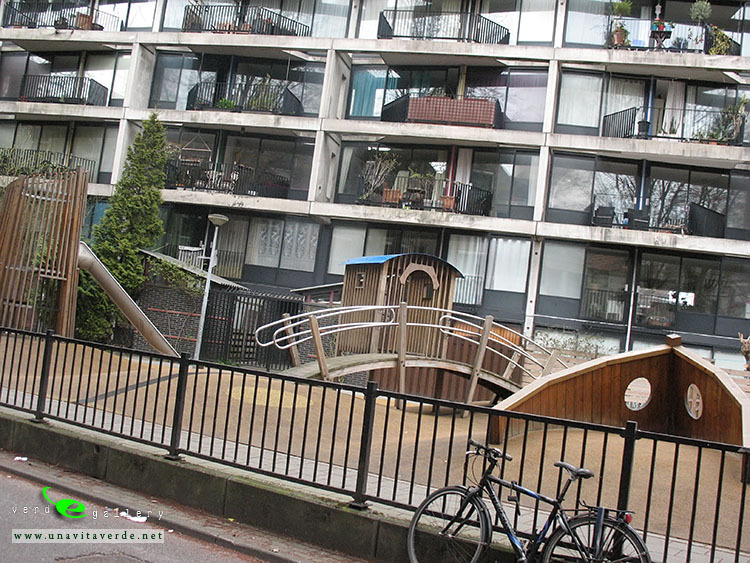 The neighbourhoods consisted mainly of large housing blocks situated among green spaces, connected to wide roads, making the neighbourhoods easily accessible by motor car. 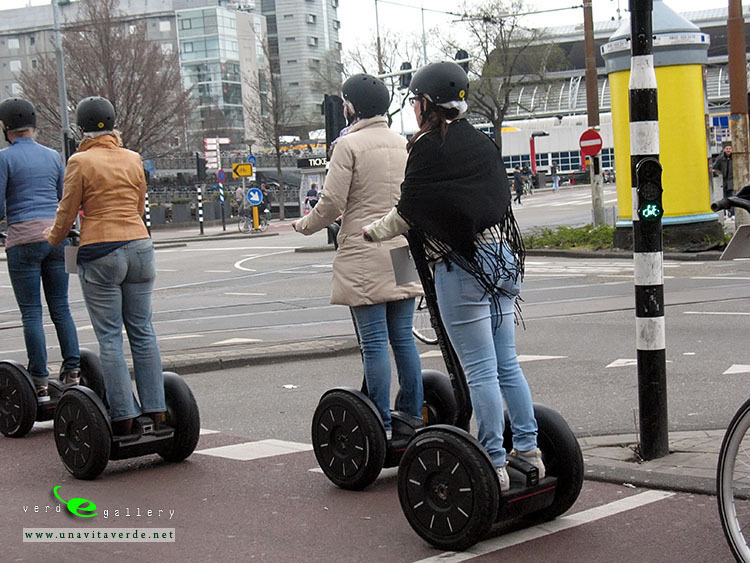 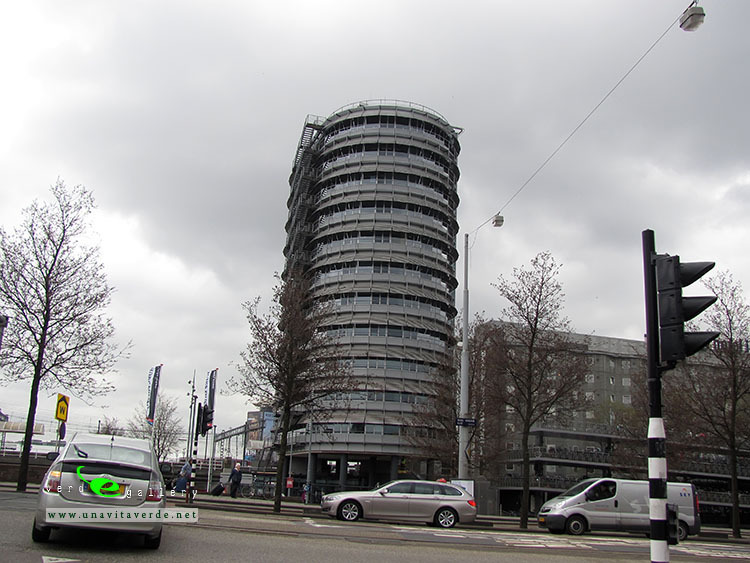 The western suburbs which were built in that period are collectively called the Westelijke Tuinsteden. 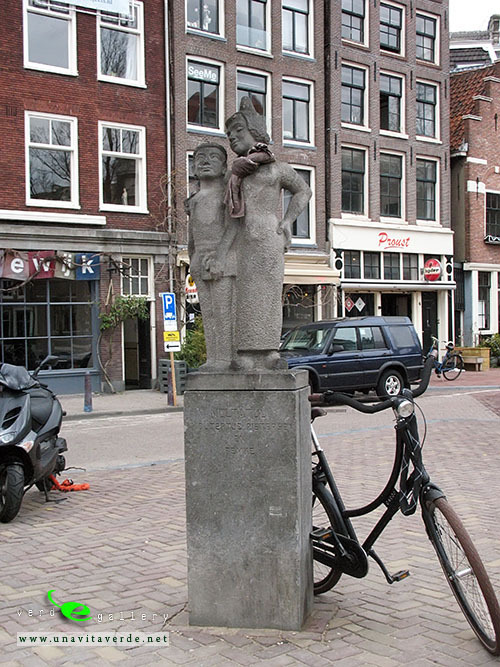 The area to the southeast of the city built during the same period is known as the Bijlmer. 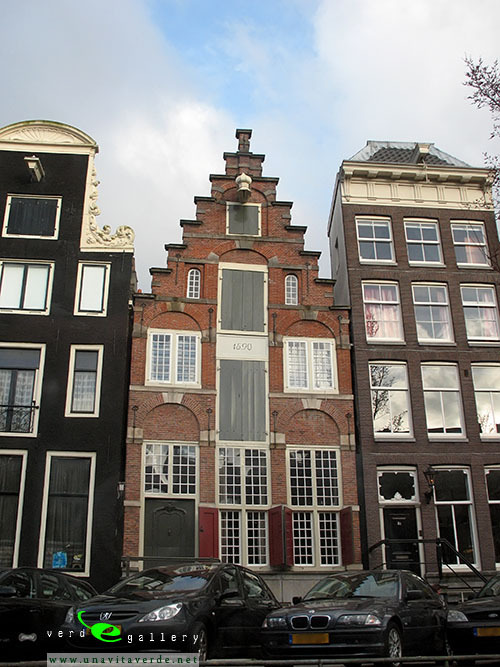 Philip Vingboons designed splendid merchants’ houses throughout the city. 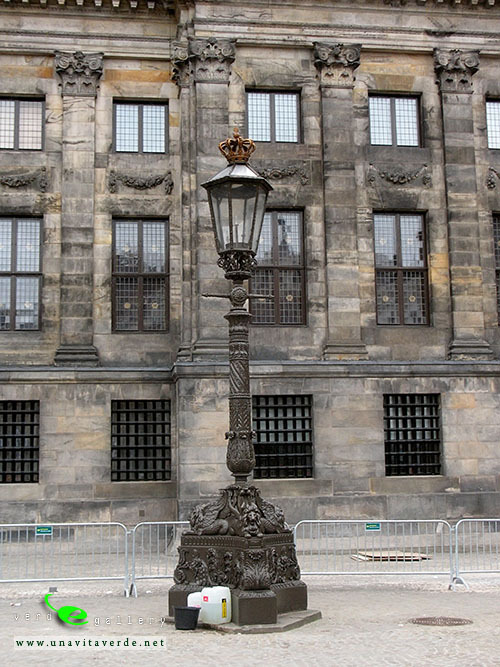 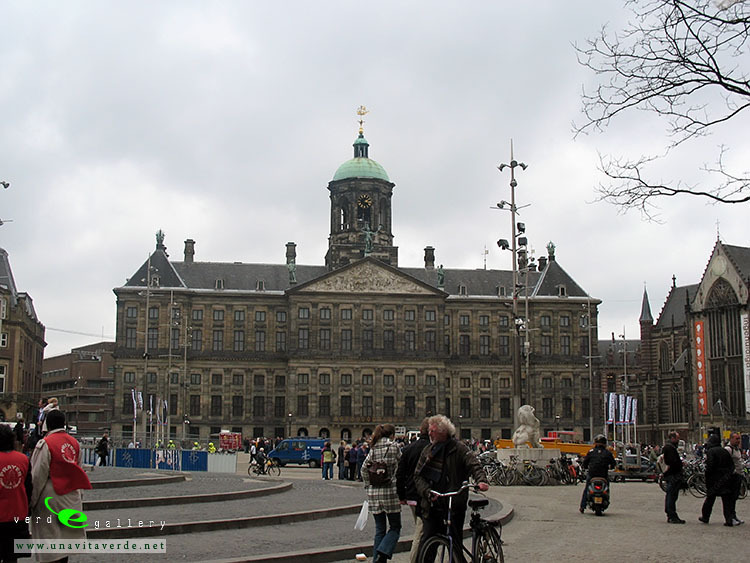 A famous building in baroque style in Amsterdam is the Royal Palace on Dam Square. 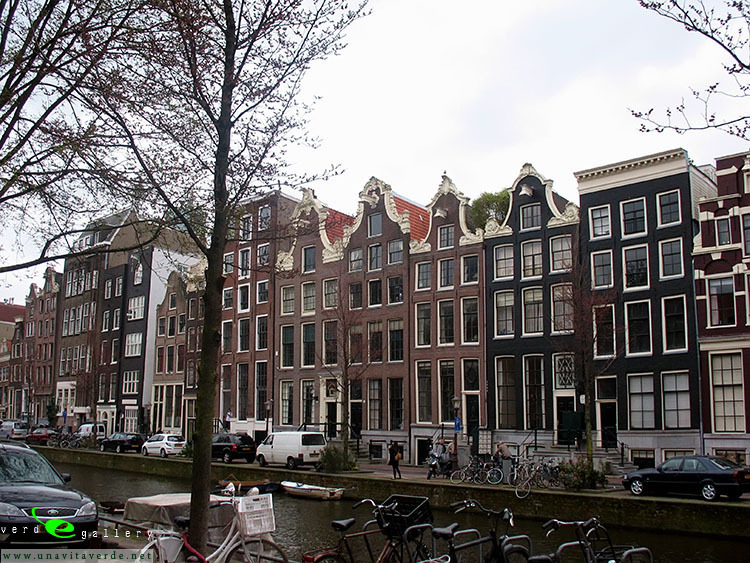 Throughout the 18th century, Amsterdam was heavily influenced by French culture. 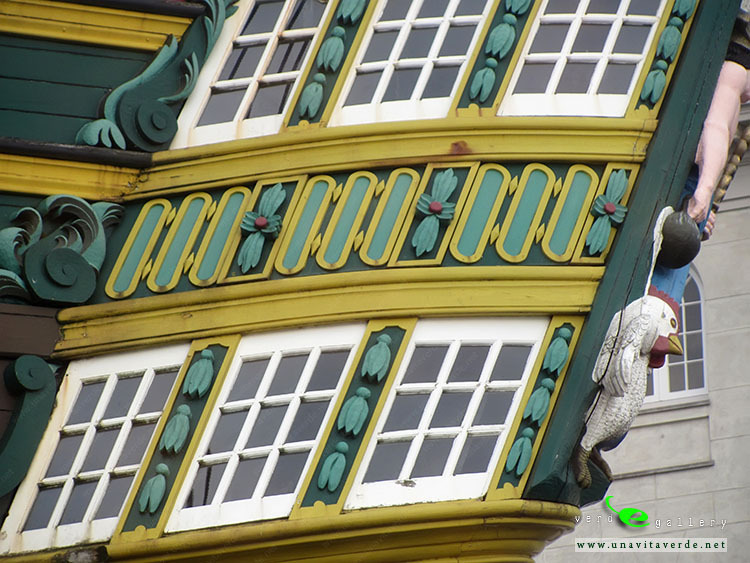 This is reflected in the architecture of that period. 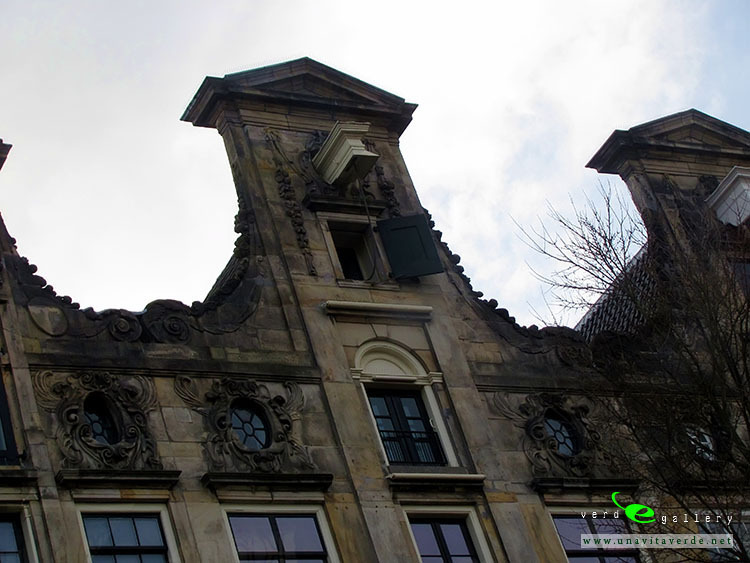 Around 1815, architects broke with the baroque style and started building in different neo-styles. 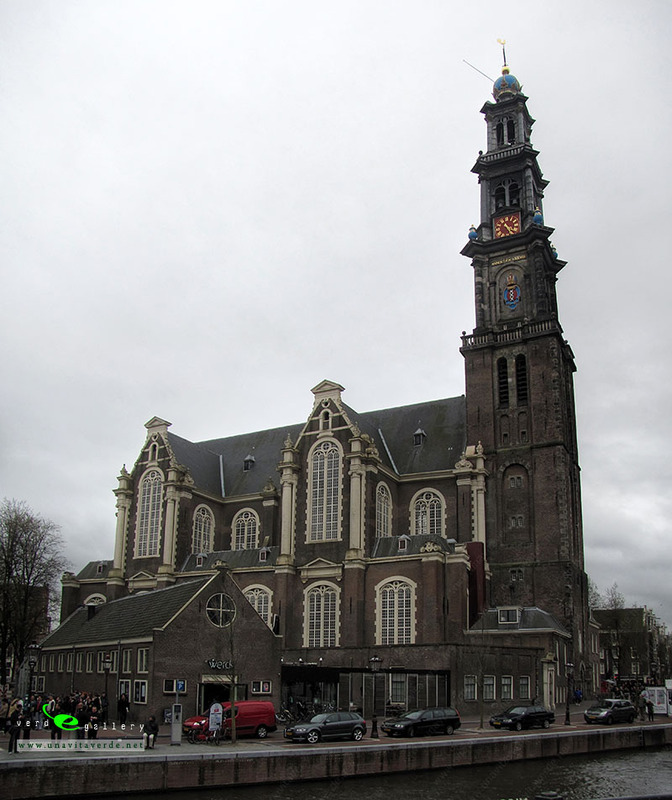 Most Gothic style buildings date from that era and are therefore said to be built in a neo-gothic style. 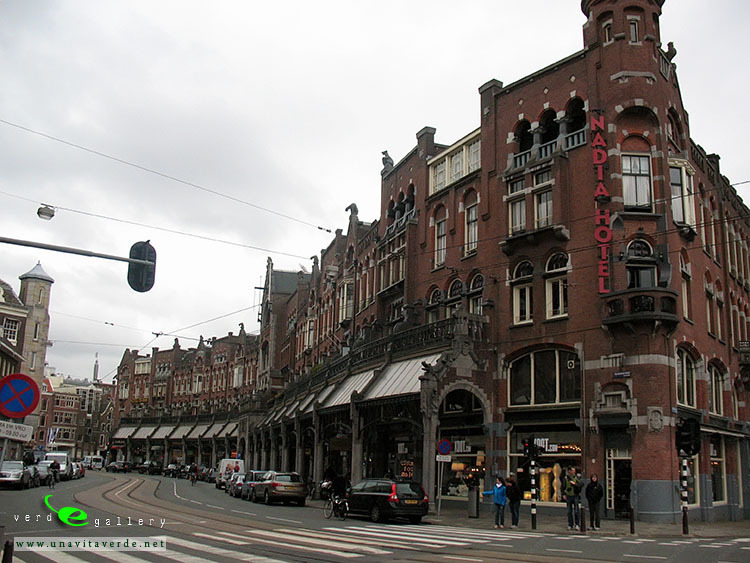 At the end of the 19th century, the Jugendstil or Art Nouveau style became popular and many new buildings were constructed in this architectural style. 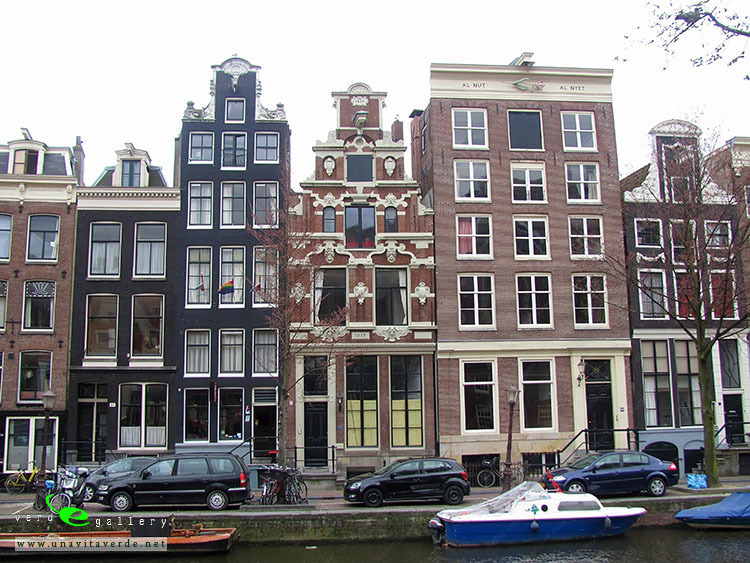 Since Amsterdam expanded rapidly during this period, new buildings adjacent to the city centre were also built in this style. 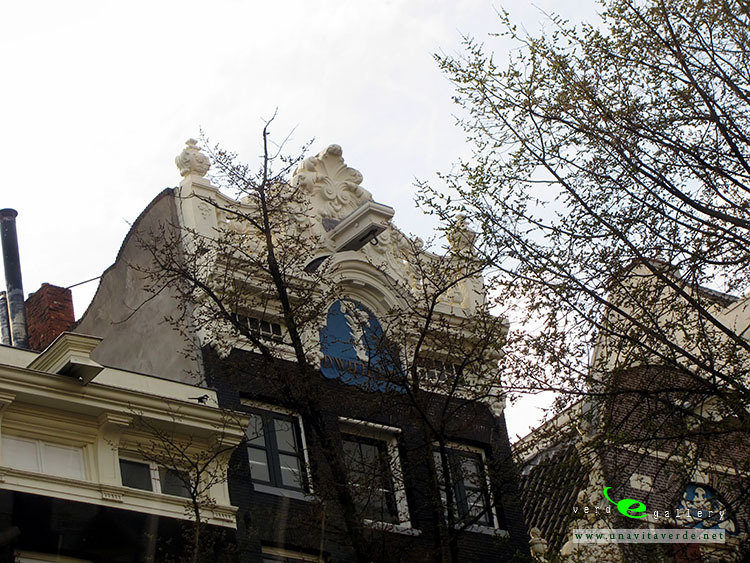 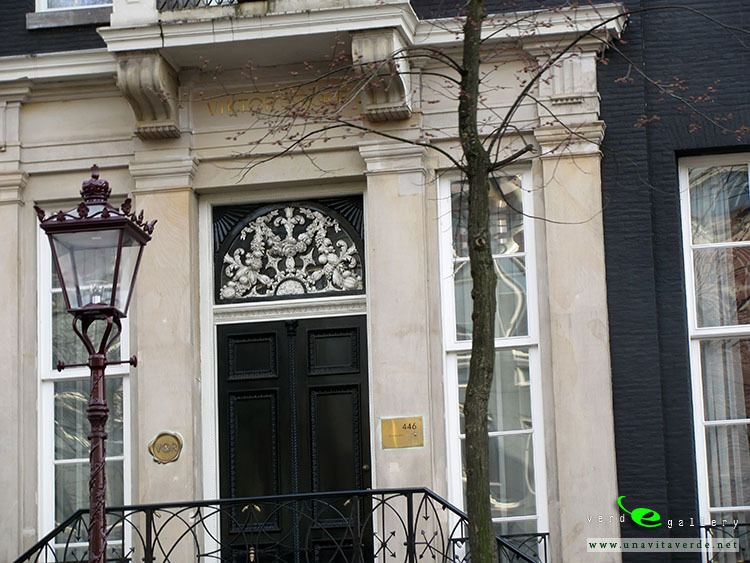 The houses in the vicinity of the Museum Square in Amsterdam Oud-Zuid are an example of Jugendstil. 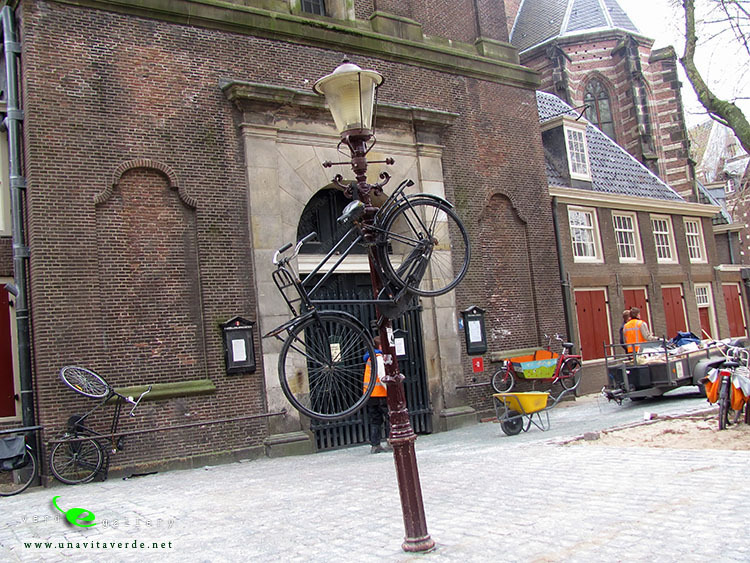 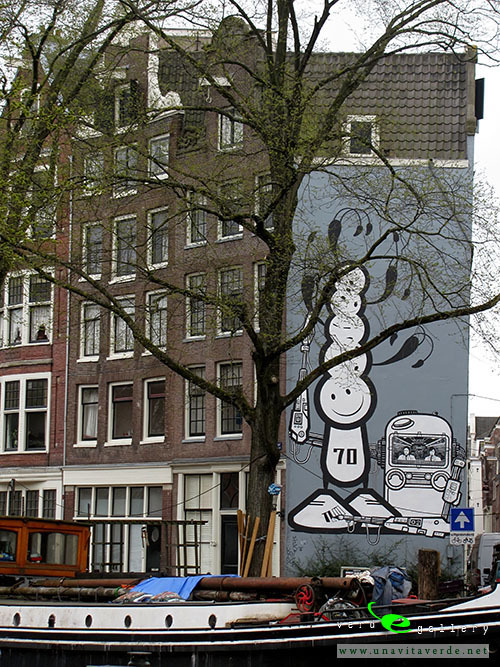 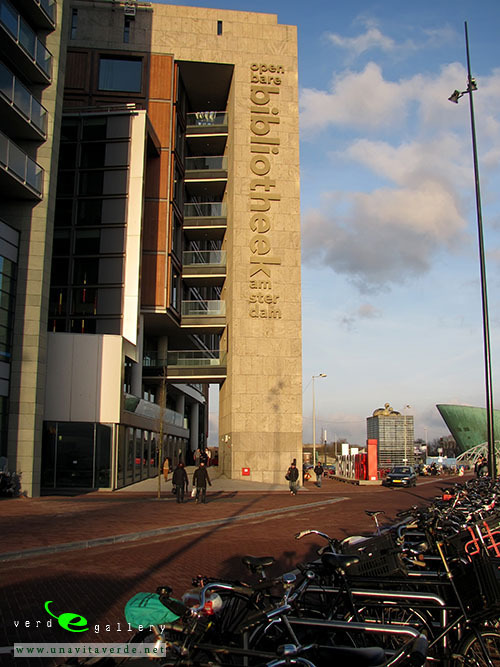 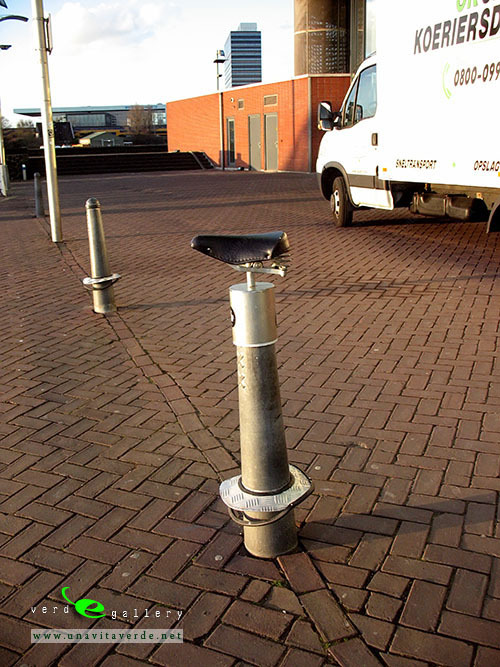 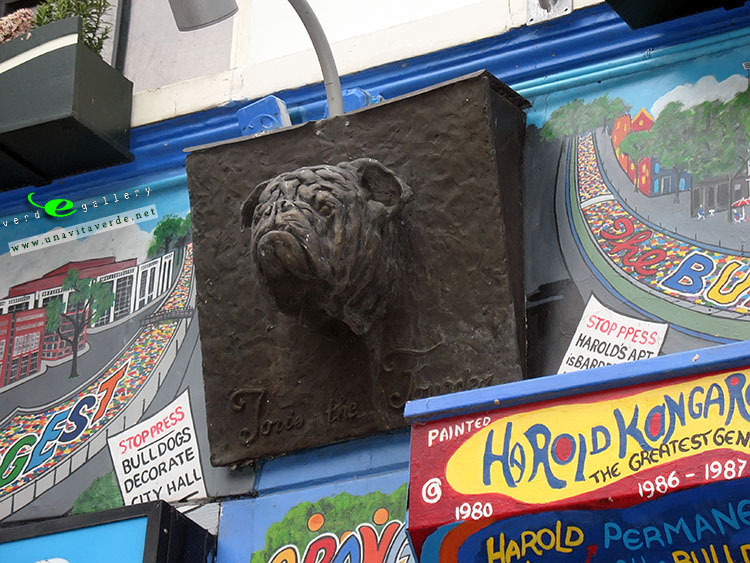 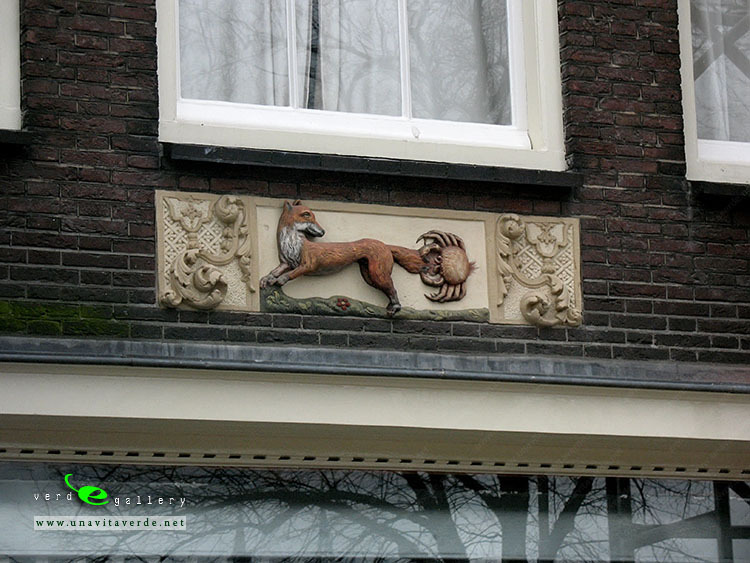 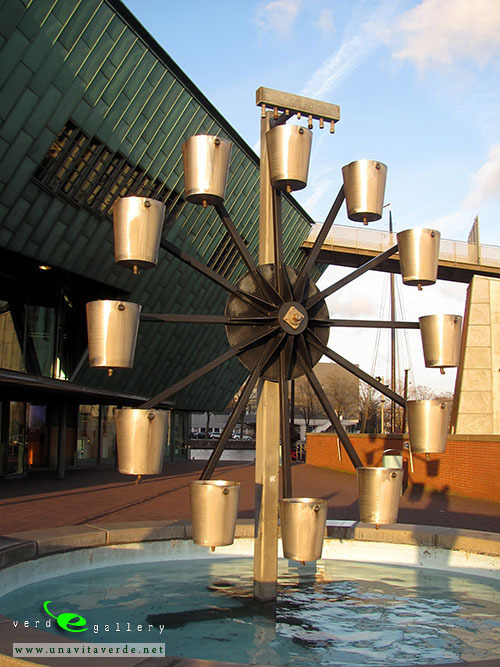 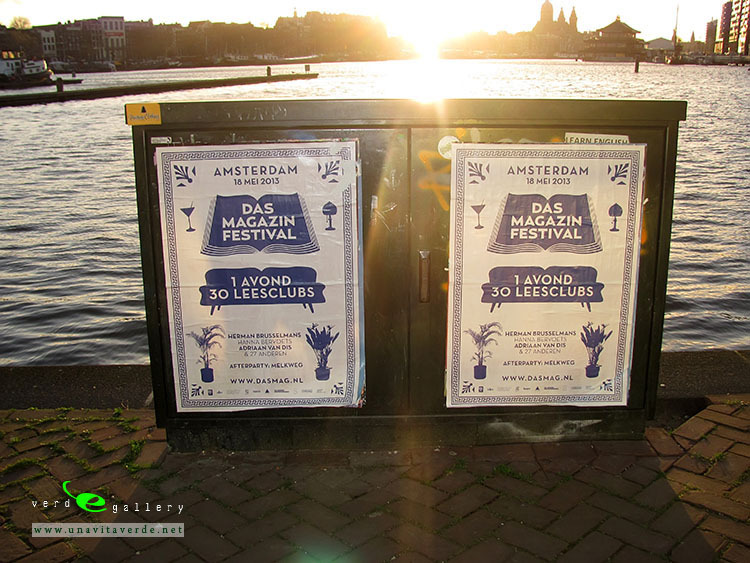 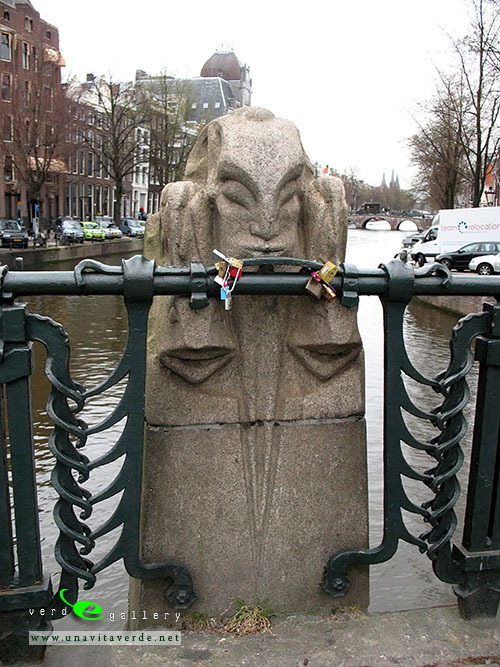 The last style that was popular in Amsterdam before the modern era was Art Deco. 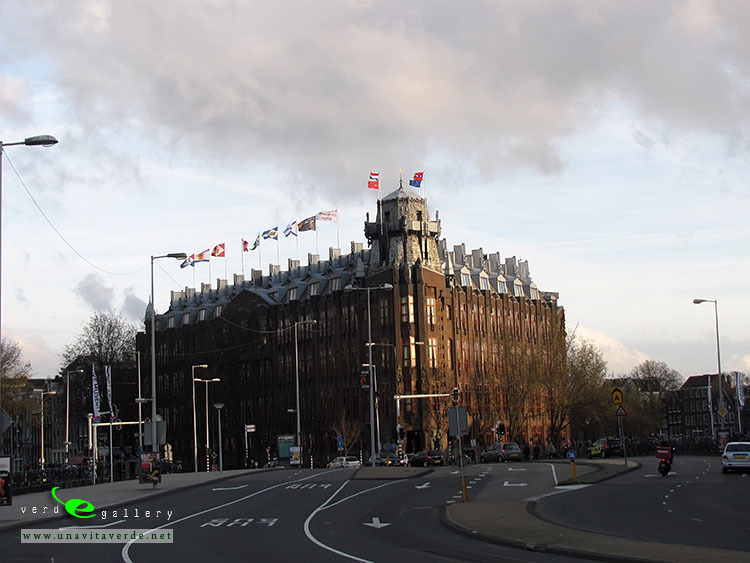 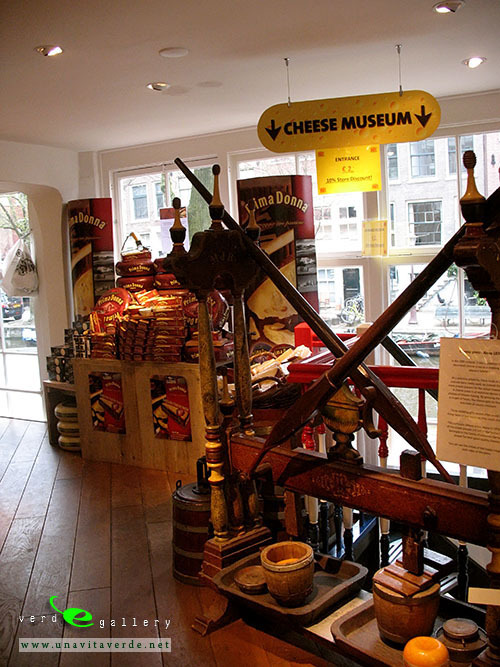 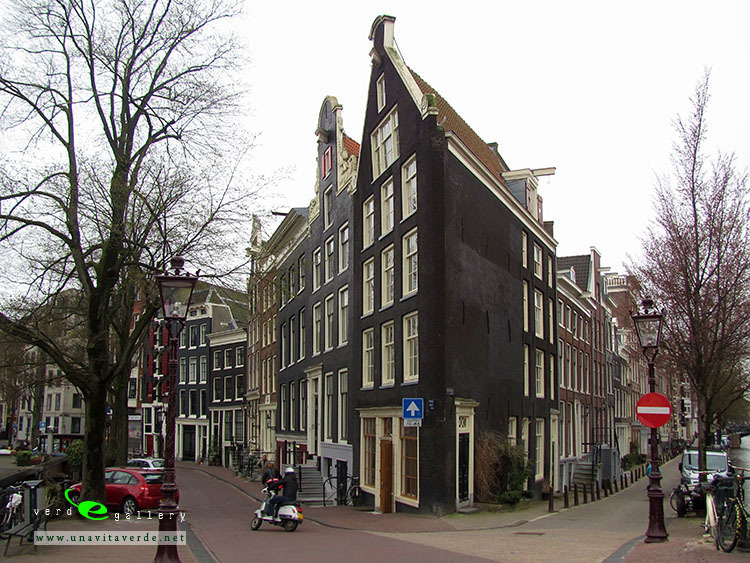 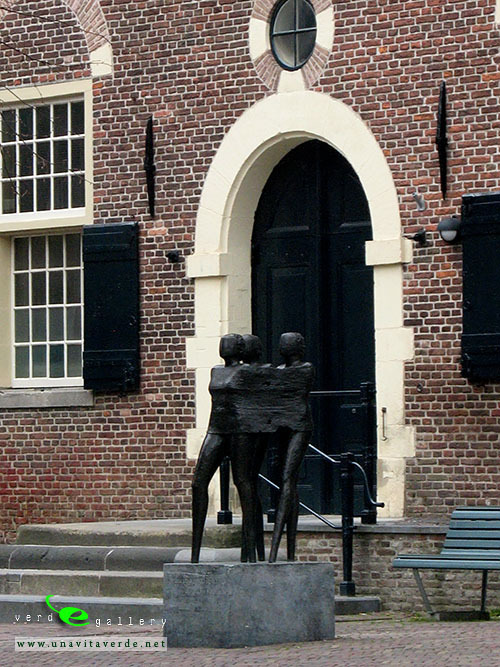 Amsterdam had its own version of the style, which was called the Amsterdamse School. 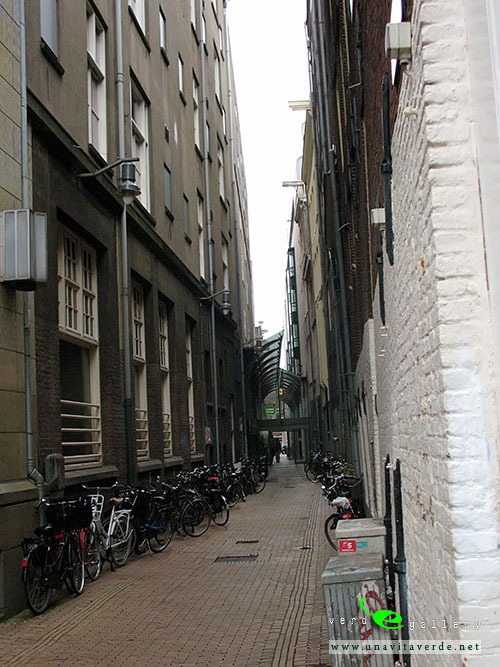 Whole districts were built this style, such as the Rivierenbuurt. 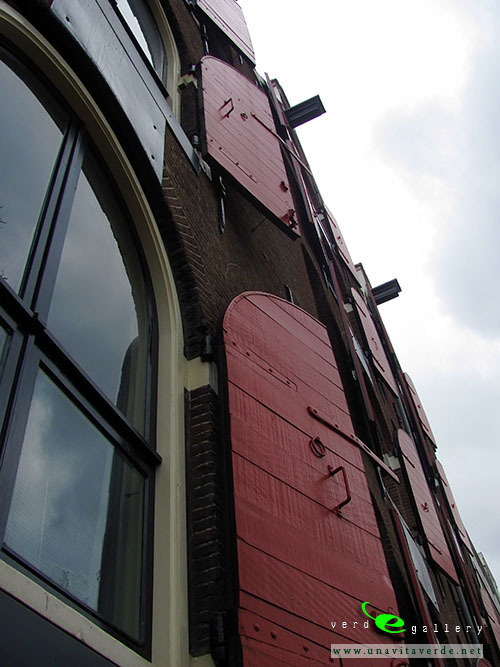 A notable feature of the façades of buildings designed in Amsterdamse School is that they are highly decorated and ornate, with oddly shaped windows and doors. 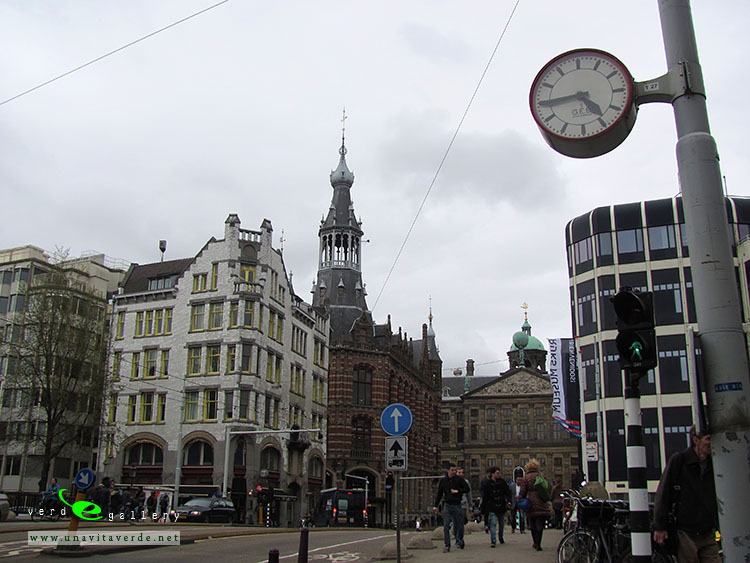 The old city centre is the focal point of all the architectural styles before the end of the 19th century. 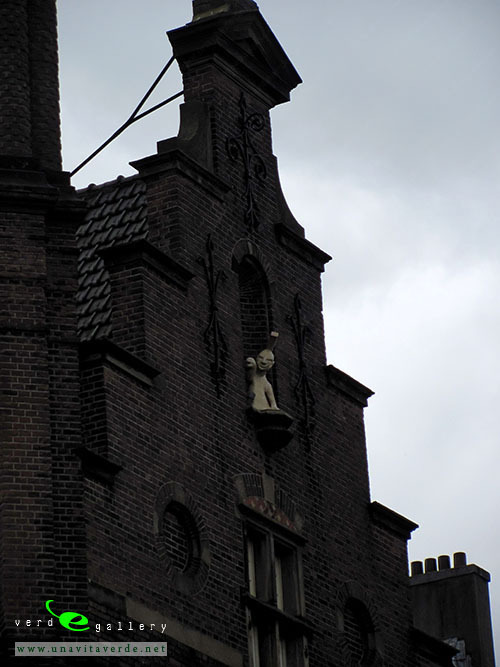 Jugendstil and Georgian are mostly found outside the city’s centre in the neighbourhoods built in the early 20th century, although there are also some striking examples of these styles in the city centre. 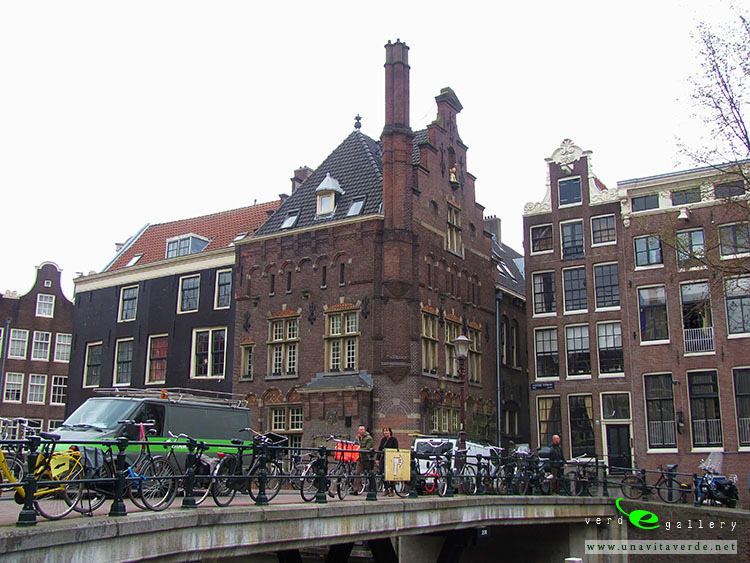 Most historic buildings in the city centre and nearby are houses, such as the famous merchants’ houses lining the canals.